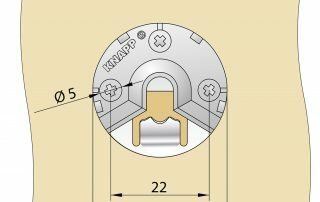 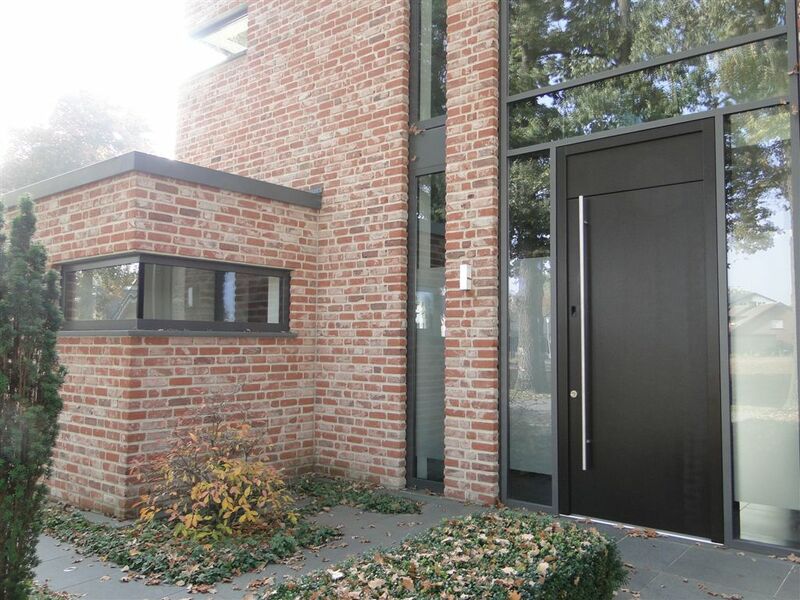 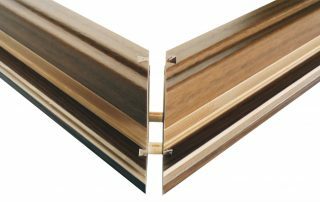 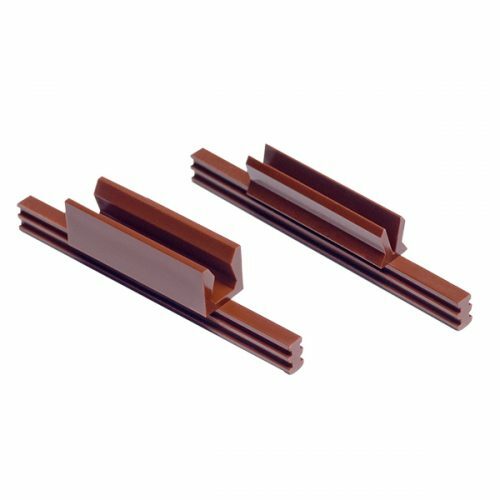 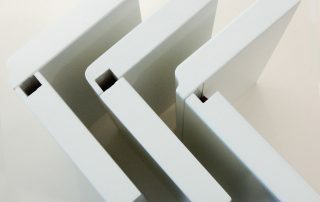 KNAPP® Connectors provides solutions that maintain the optical quality of window and door manufacturing and construction, while being engineered in an innovative manner for fast processing and application. 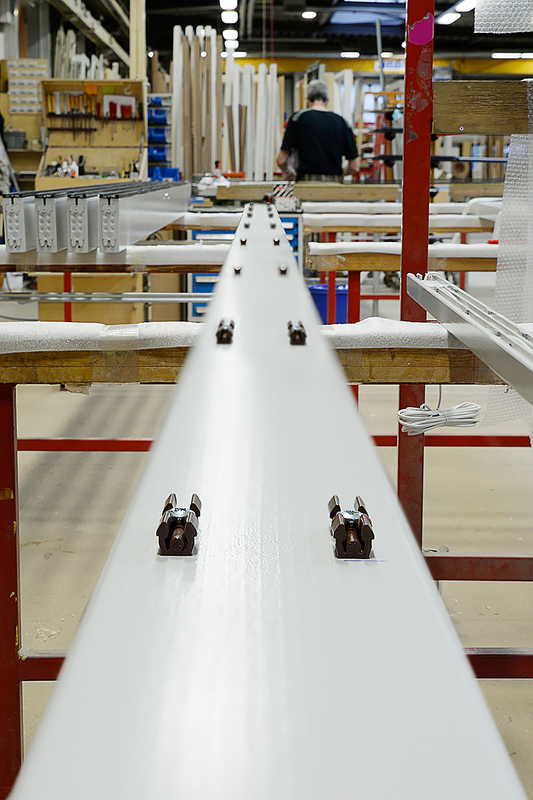 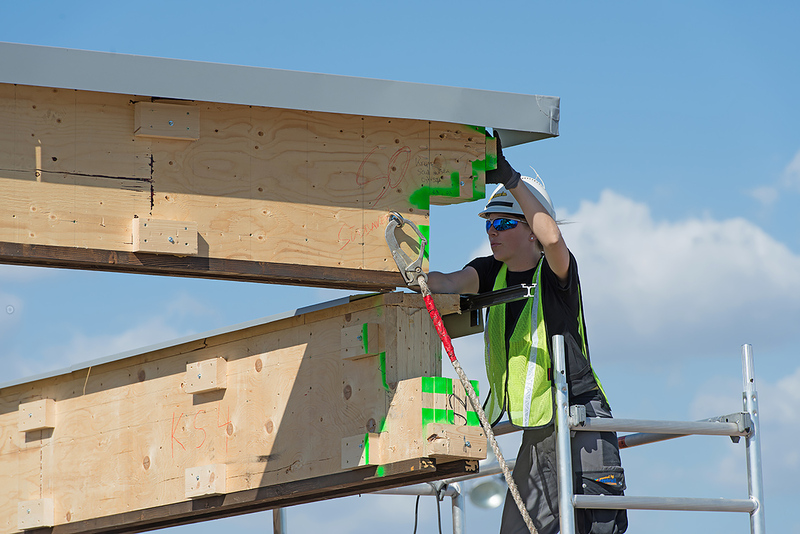 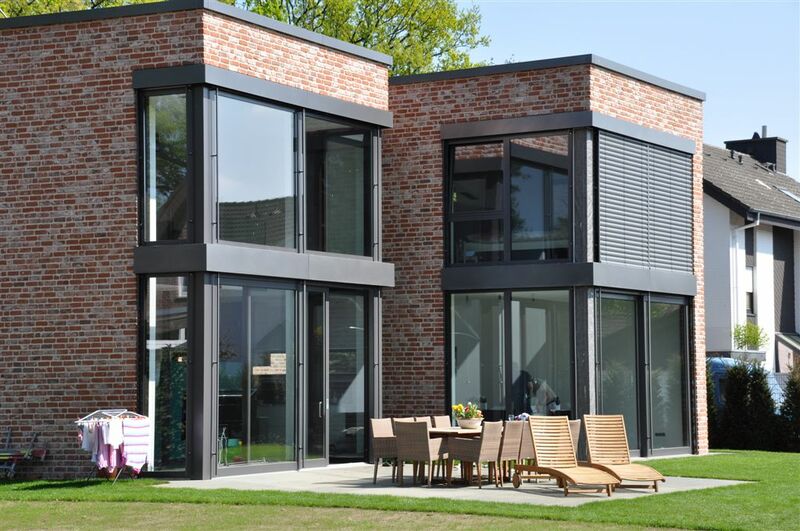 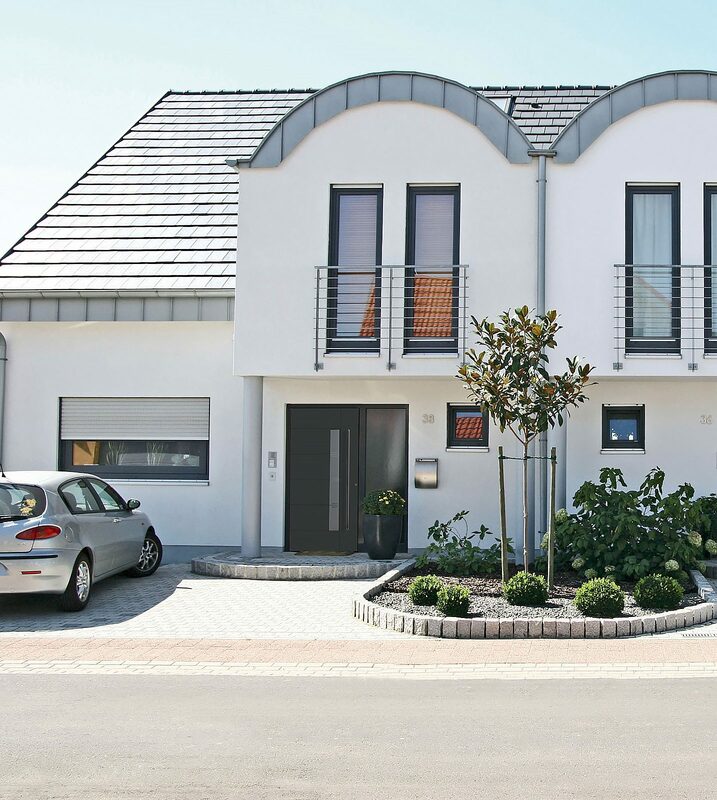 With multiple products and a high degree of prefabrication, we are confident in the perfect solution to fit your needs. 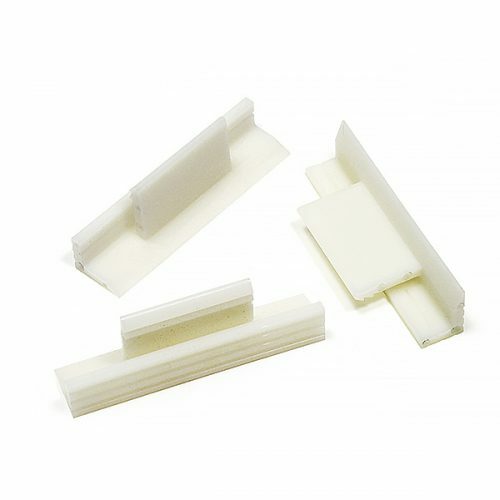 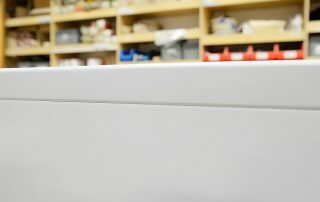 We offer innovative non-foaming and low-shrinkage adhesives and connectors that are UV, weather, and outdoor resistant and will maintain an elastic adhesive joint. 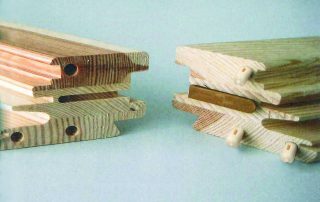 The DUO 30 and DUO 35 sets consist of two identical round shaped steel brackets that hook into each other in a dovetail-like manner. 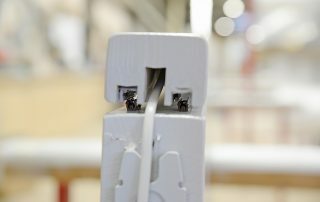 First, the connectors are installed on the components and then the components are snapped together. 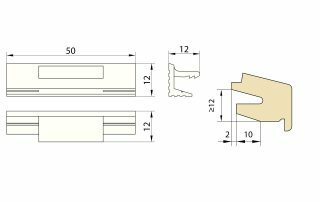 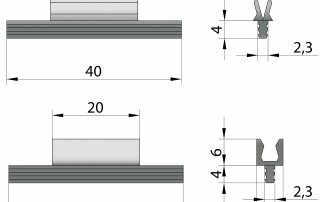 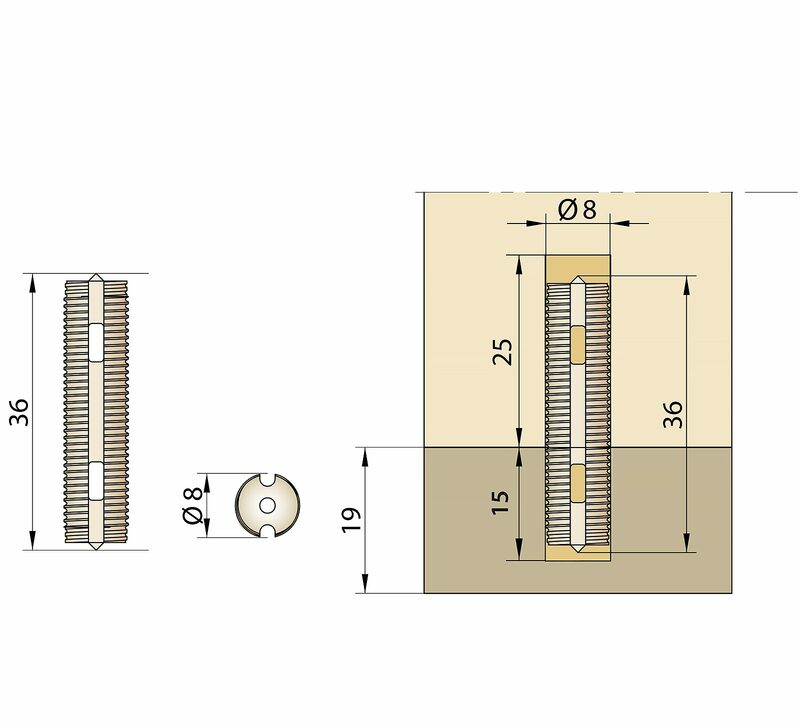 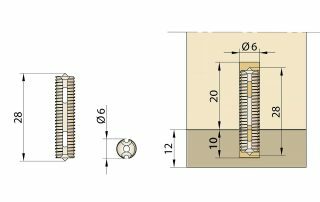 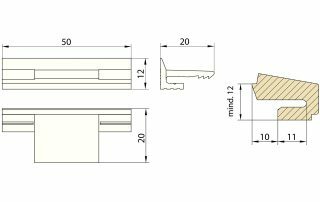 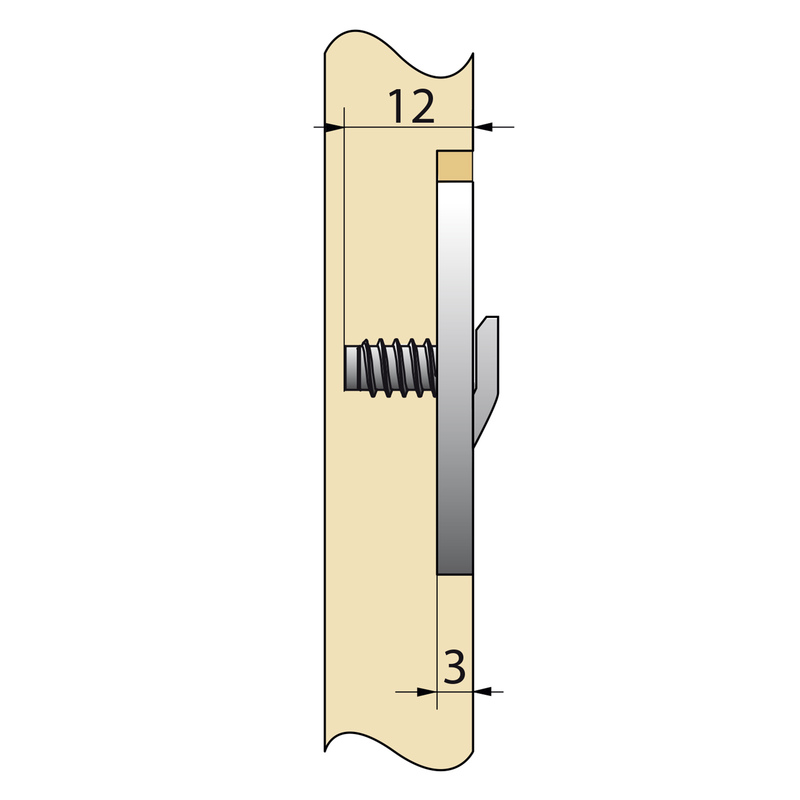 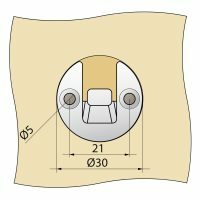 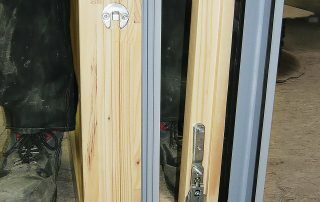 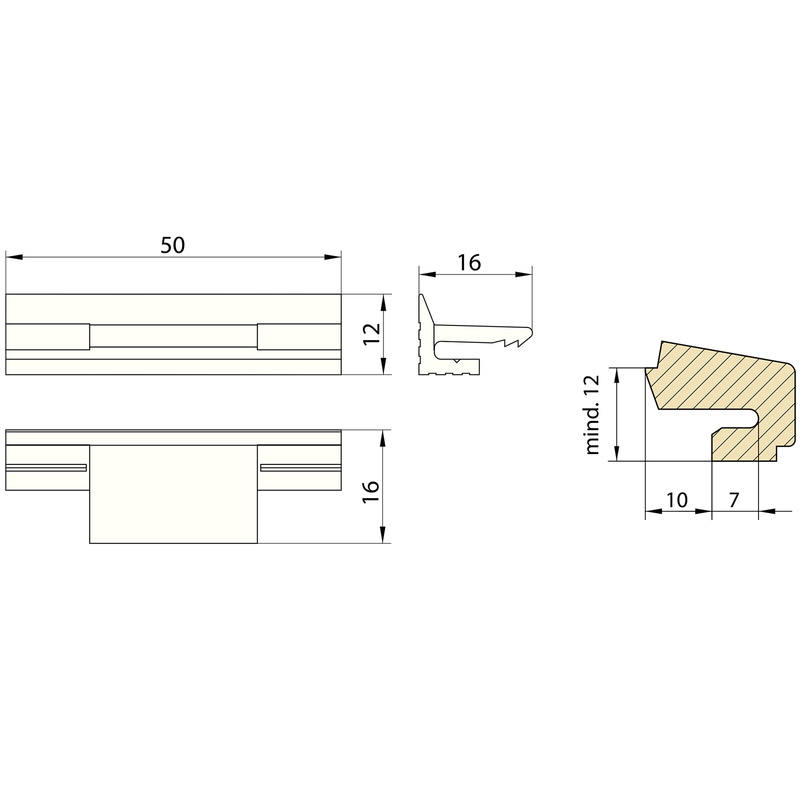 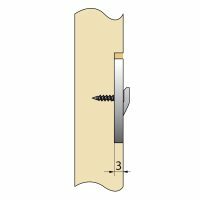 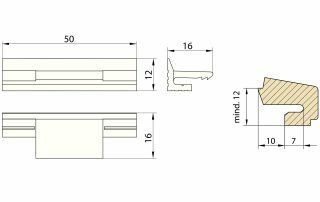 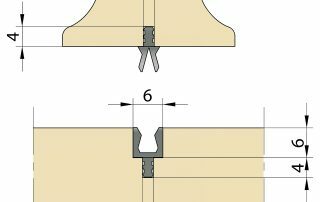 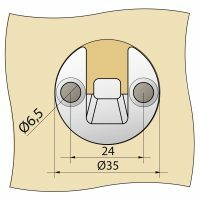 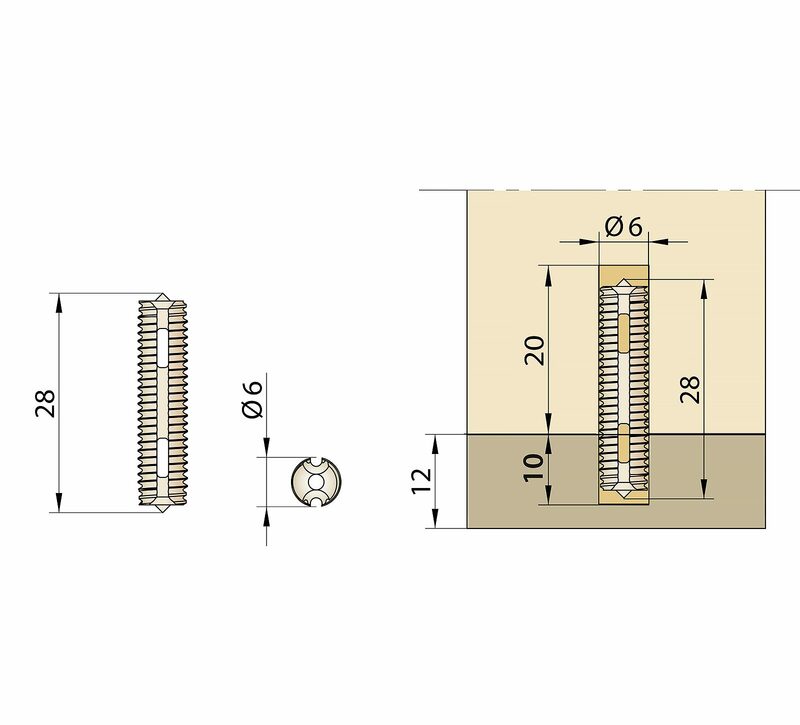 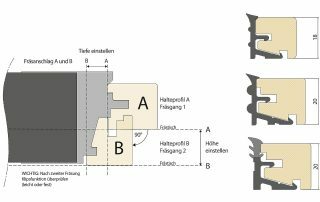 The DUO 35 fastener is installed to the component with Euro-screws, is ideal for the industrial use with a CNC-routing machine and especially suited to mount windows on site. 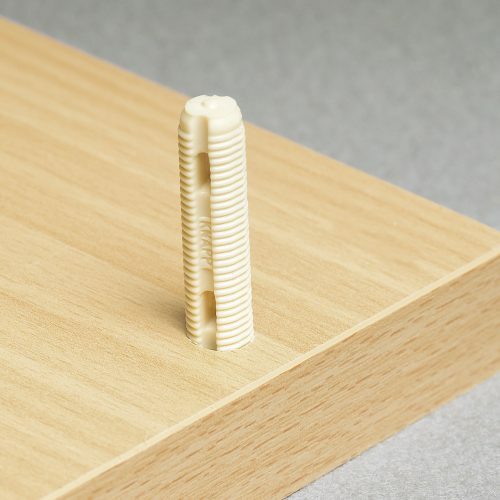 Simple – easy to mount by just snapping components in place. 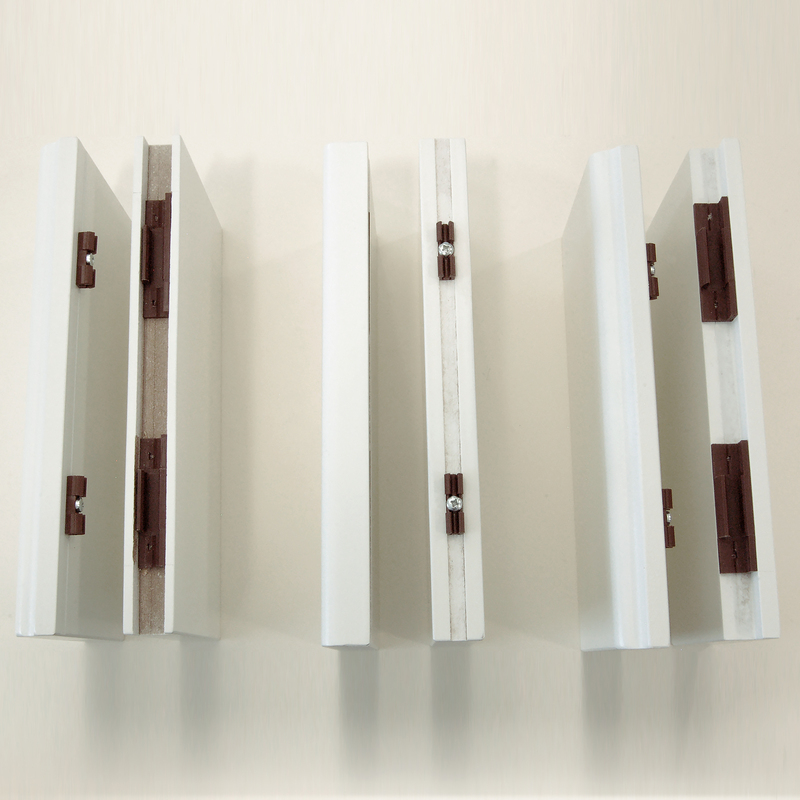 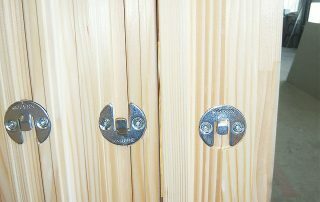 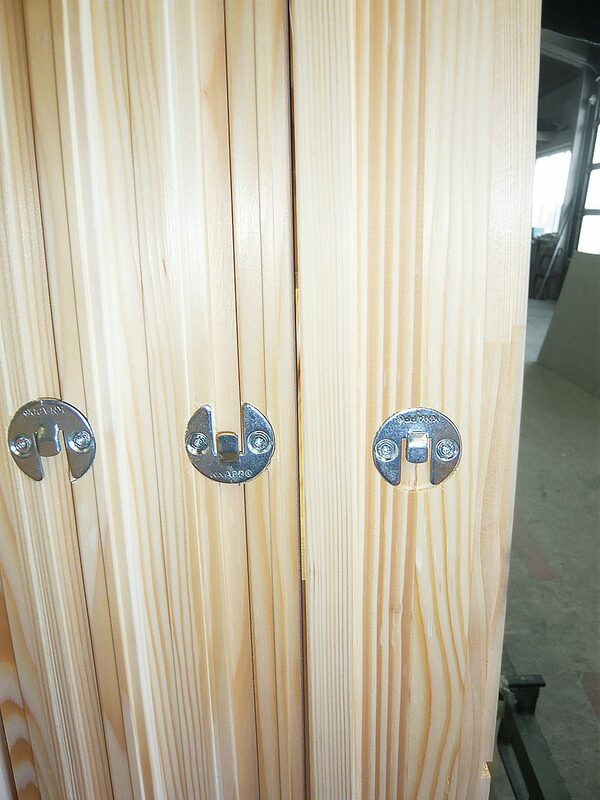 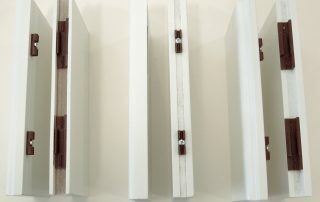 Non-visible – recessed and concealed fasteners. 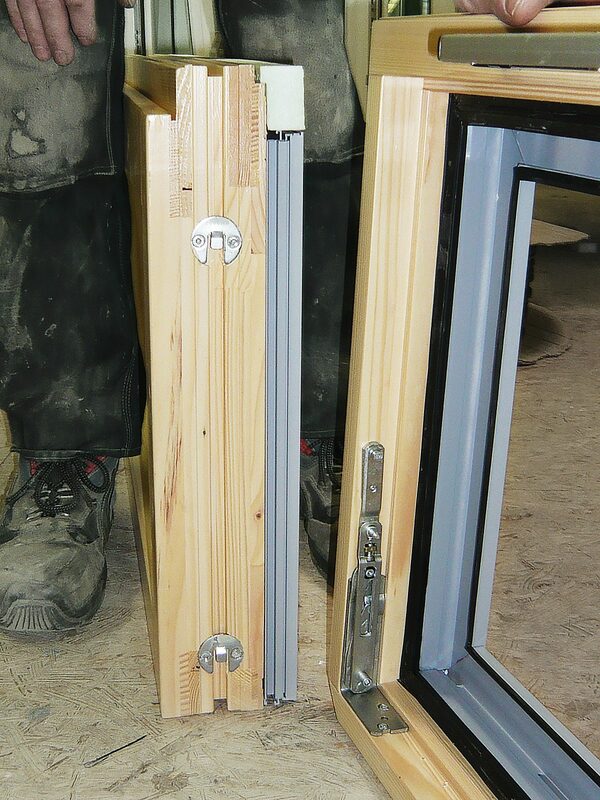 Efficient – reduces labor cost. 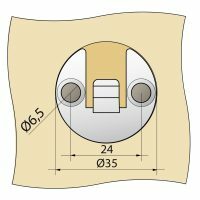 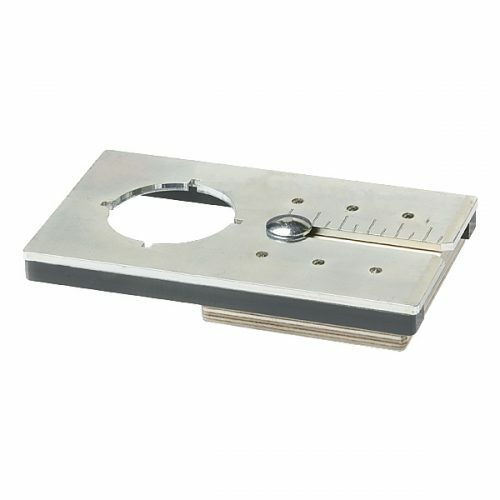 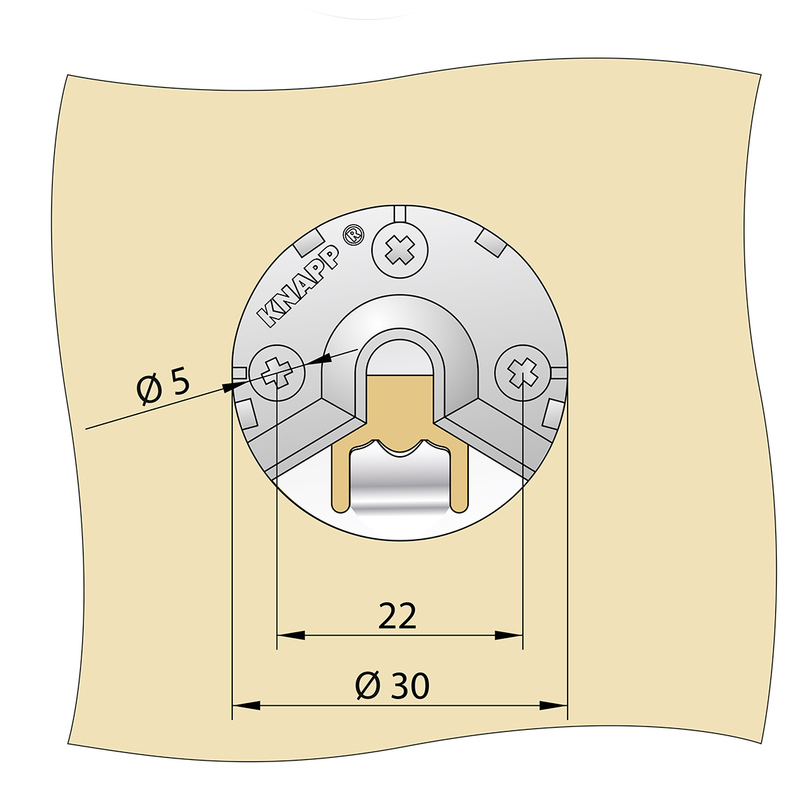 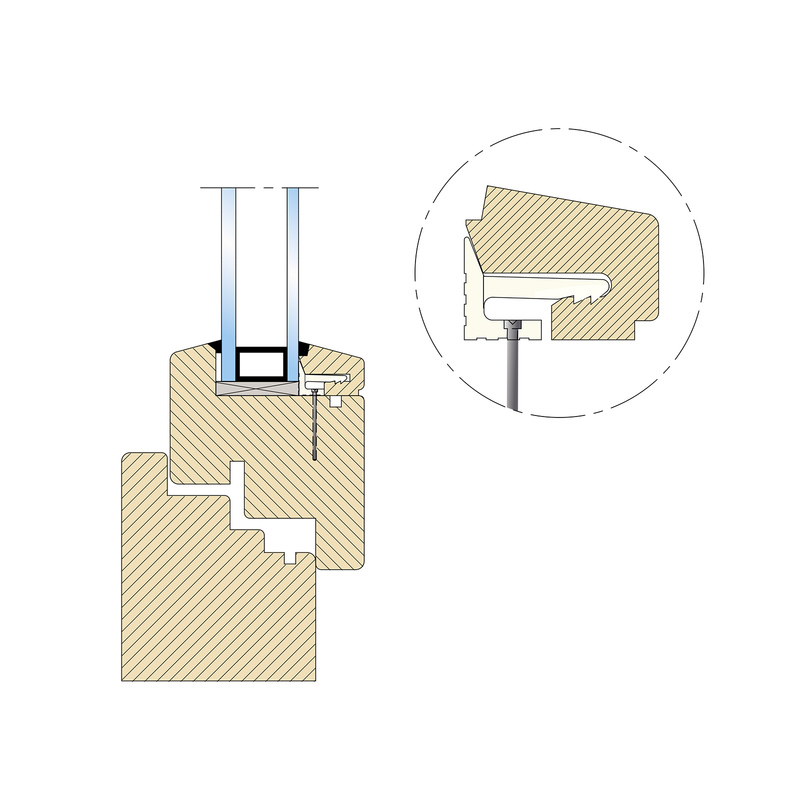 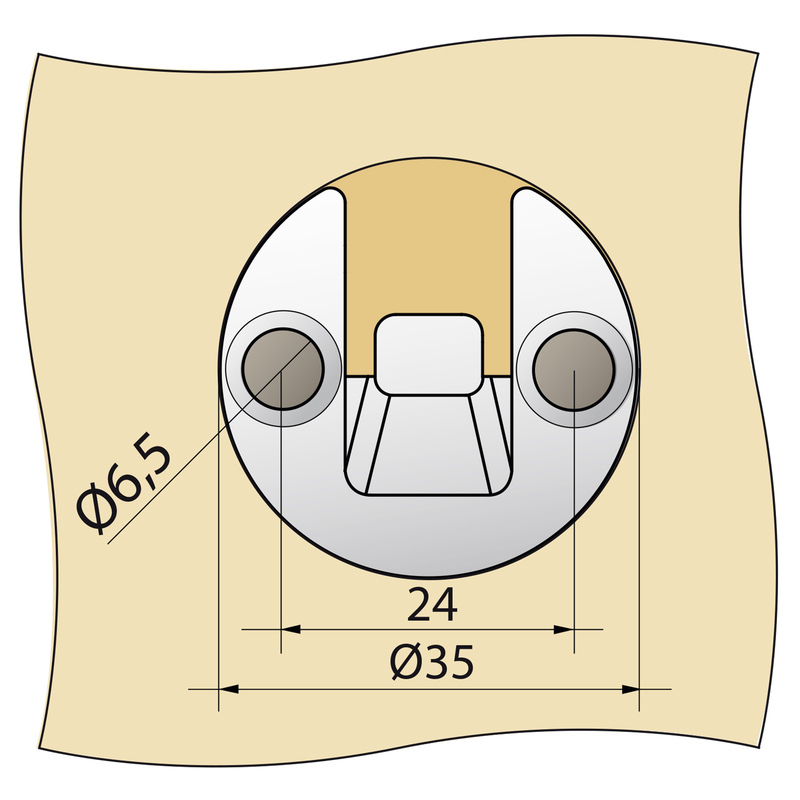 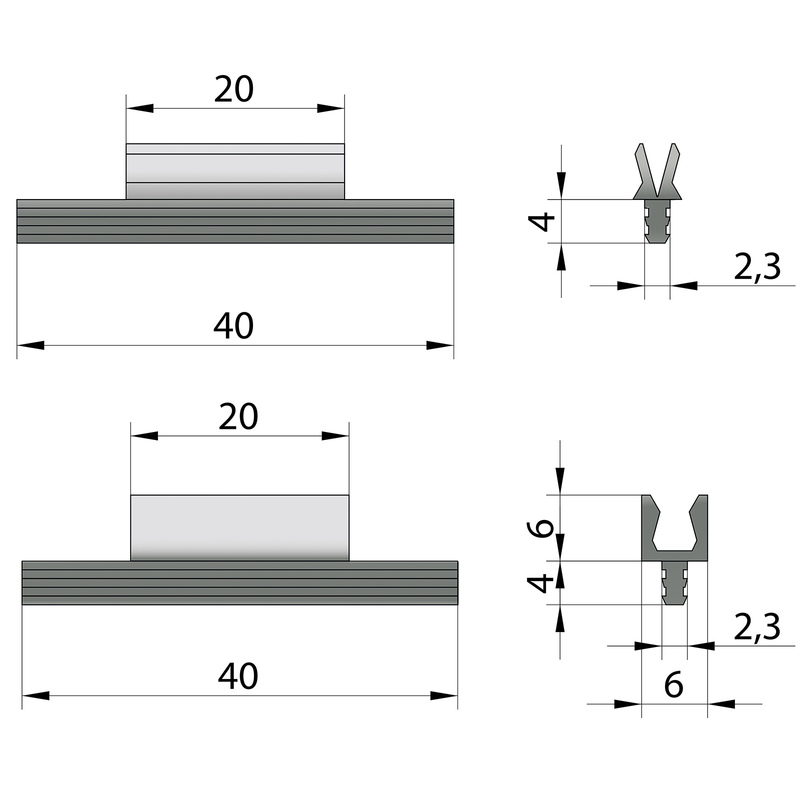 Low recess depth – only 3 mm (2/16 inch). 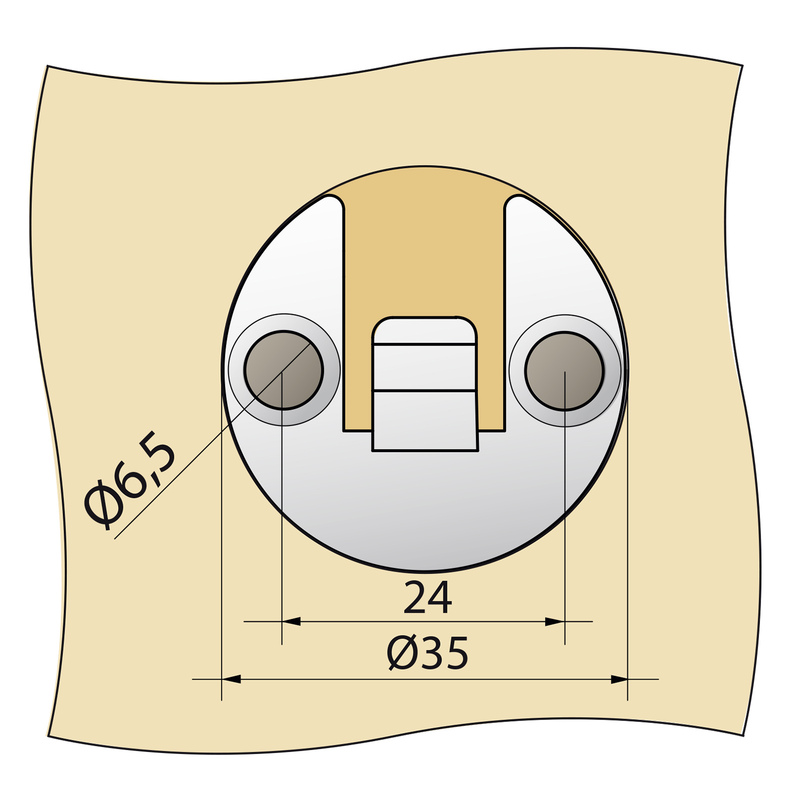 Versatile – two sizes ø = 30 and 35 mm and with each two version mL / oL (with / without sideways tolerance). 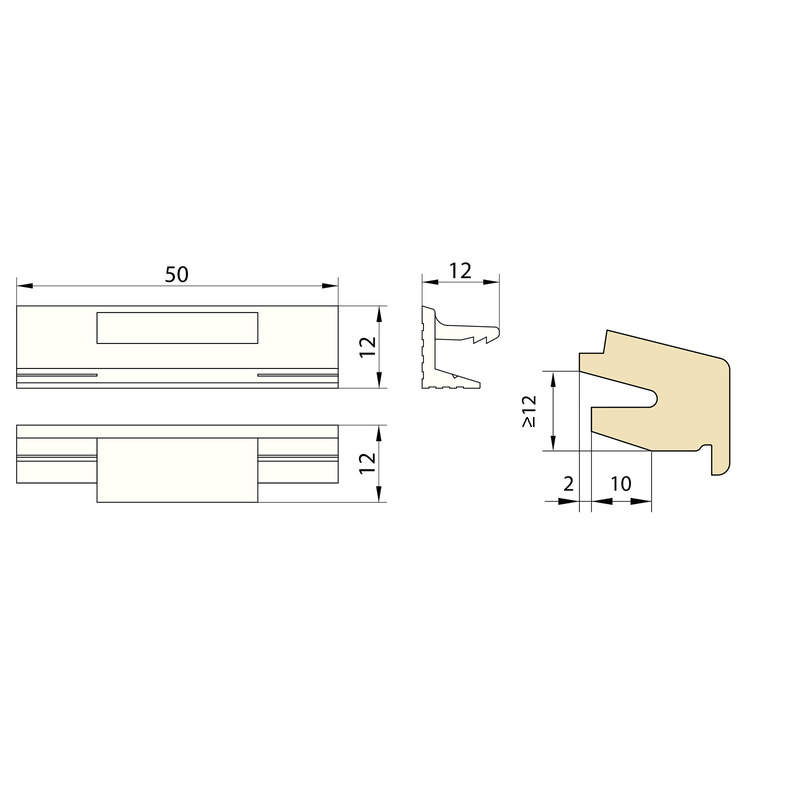 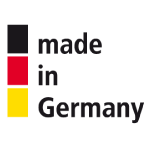 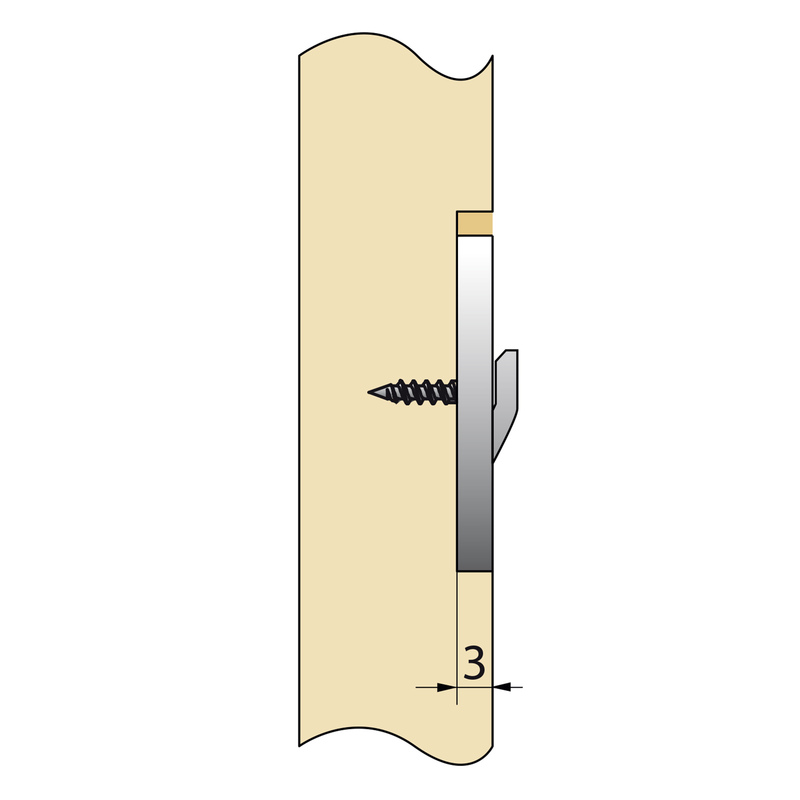 Fast – only 15 mm (½ inch) hook way and can be used with standard screws. 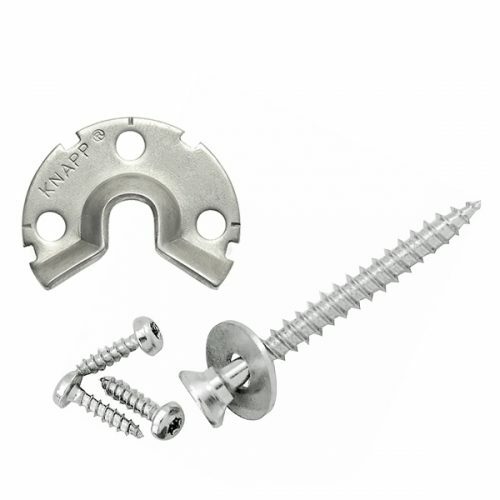 The UNO 30 connector set consists of a round stainless steel bracket with a V-shaped receiver socket and a SK-screw, including a washer. 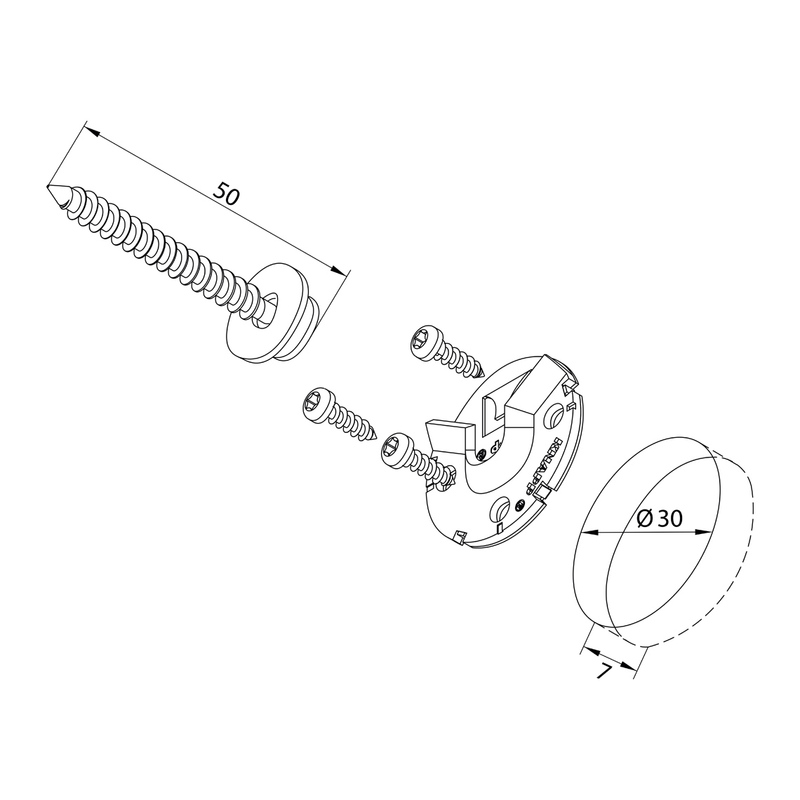 Easy and fast assembly is guaranteed, as the generously V-shaped receiver socket receives the SK-screw head when mounted. 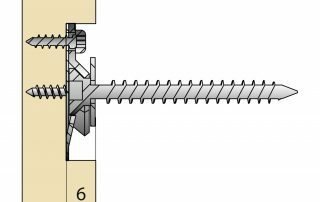 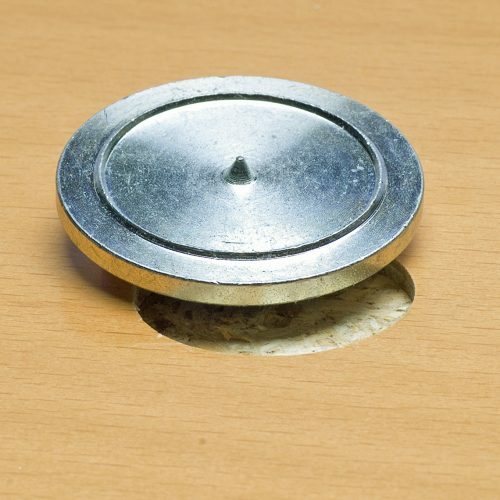 Optionally, a lock, made out of spring steel, can be added to latch the connector. 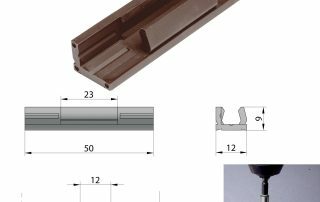 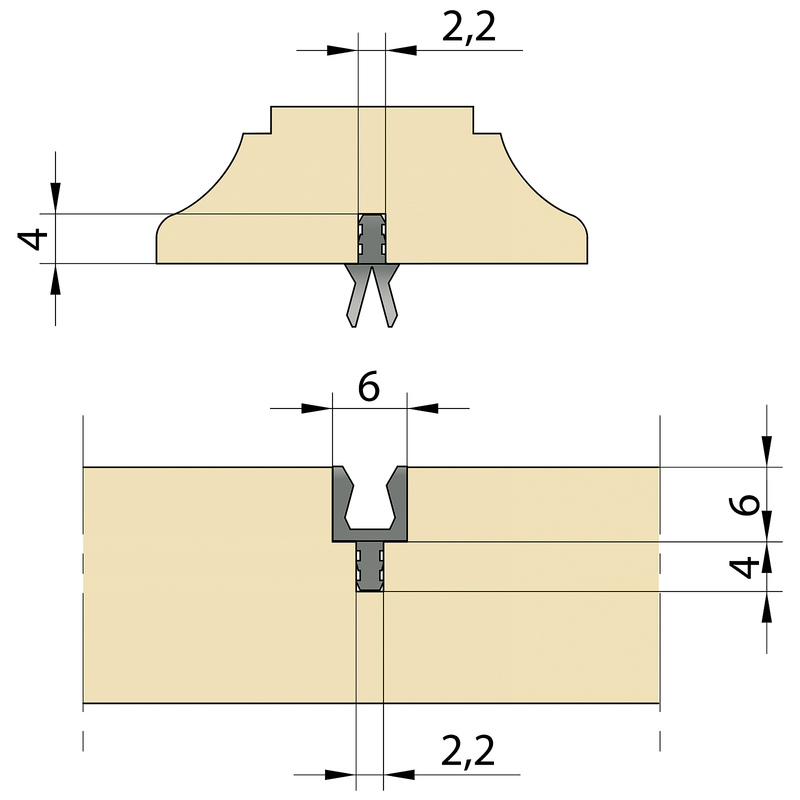 Because of the bracket’s round shape, it can be easily fitted into a 30 mm / 7 mm borehole or a 30 mm / 7mm milled rebate. 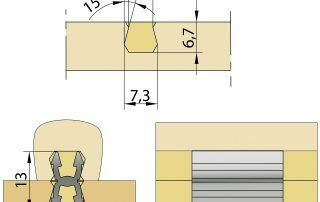 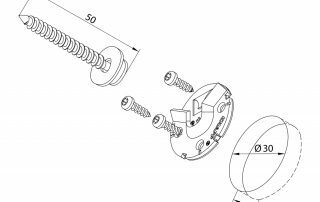 As the SK-screw is mounted to the component, the washer is there to perfectly set it to the right height to fit perfectly in the bracket, while still giving the ability to adjust in order to compensate any differences in dimensions. 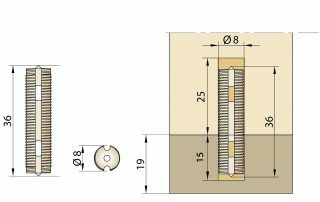 The UNO 30 is designed to hold screws with a 5-6 mm head and serves a vast amount of versatile applications. 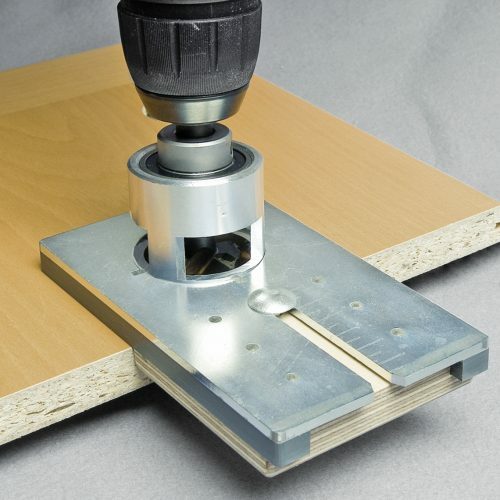 The UNO 30 can be used for applications such as interior wall panels, baseboards, moldings, handrails and much more. 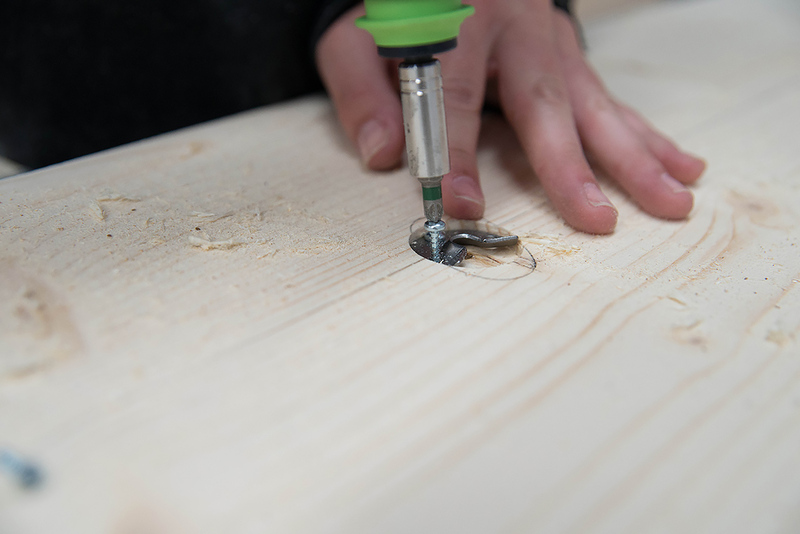 There is truly no end to the versatile applications that the UNO 30 can be used for. 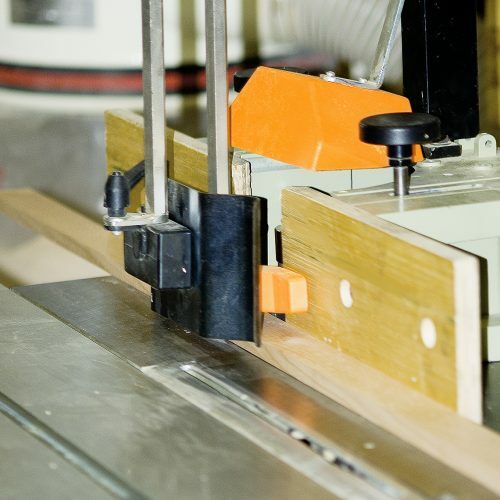 The UNO 30 is used in most cases for wood to wood components. 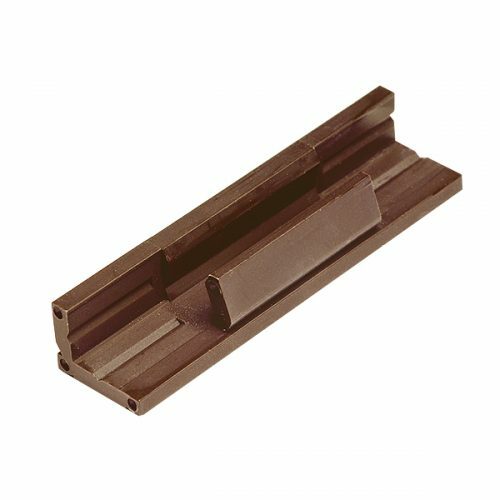 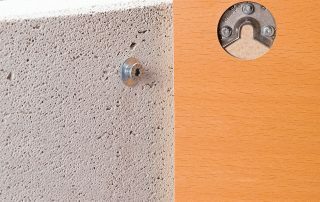 However, it also can be used with normal dowels and that way opens up applications to fasten components to bricks, stones, concrete, dry walls, etc. 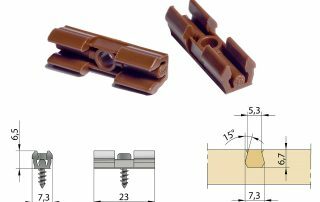 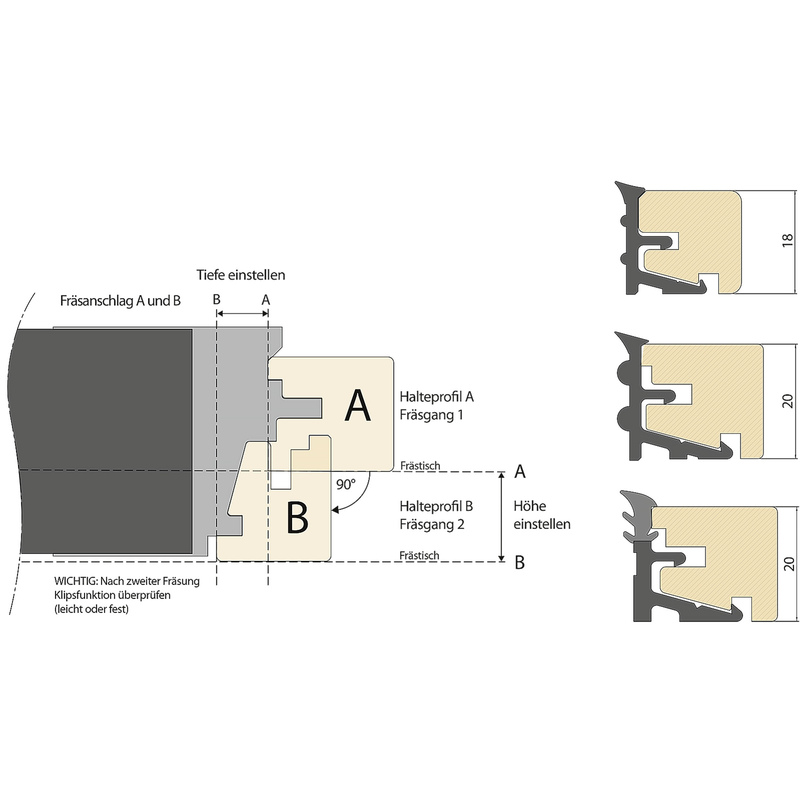 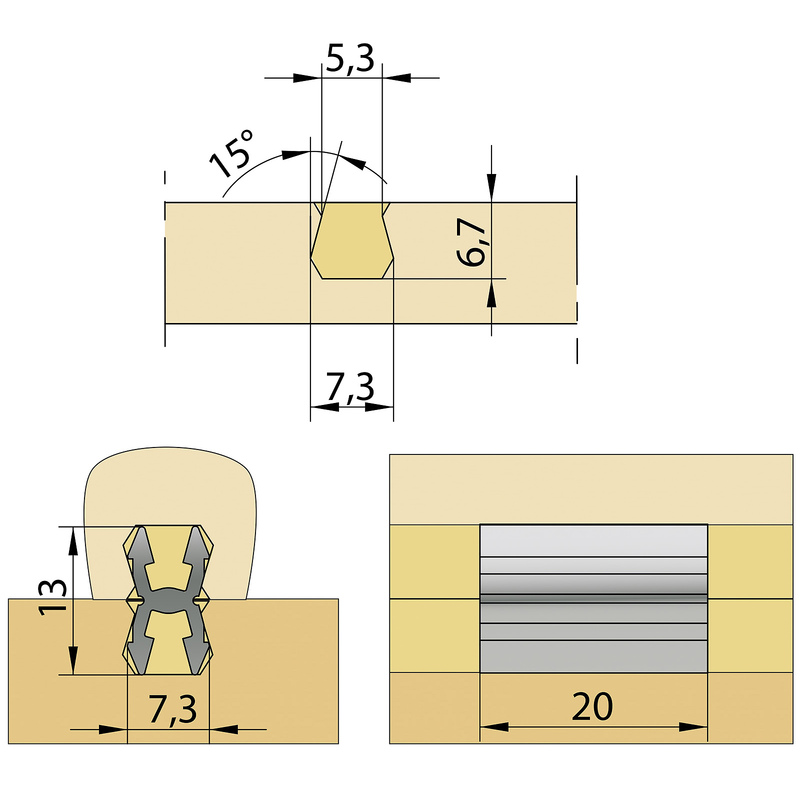 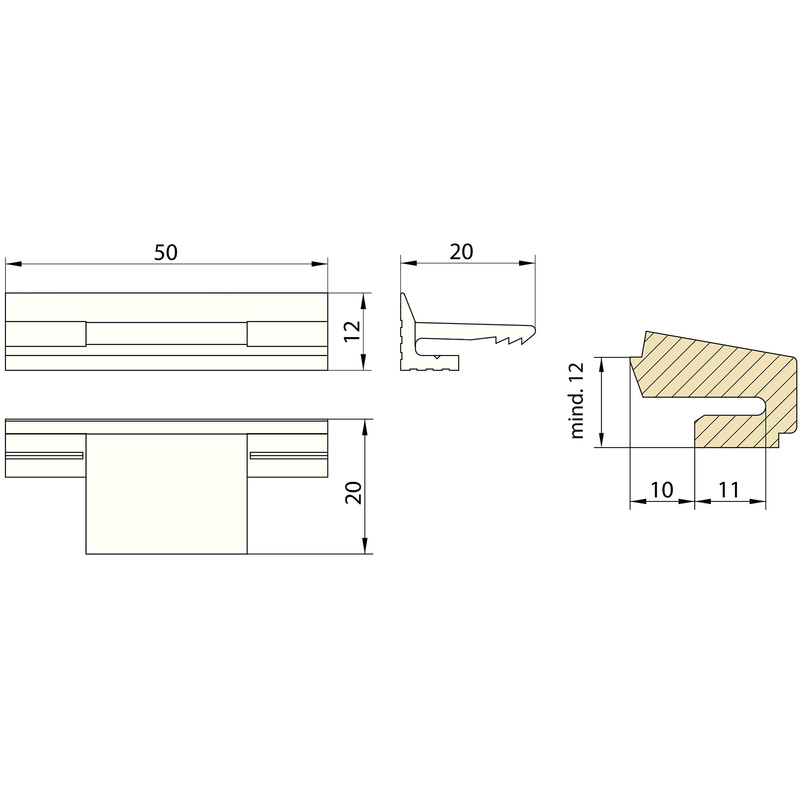 The KLICK and sKLICK connectors are connectors that serve to snap together and mount small components with small dimensions, such as moldings. 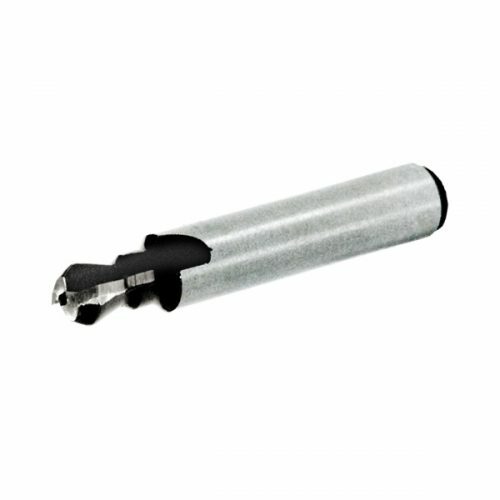 The KLICKpro is an adapter for KLICK and sKLICK, and serves as a groove. 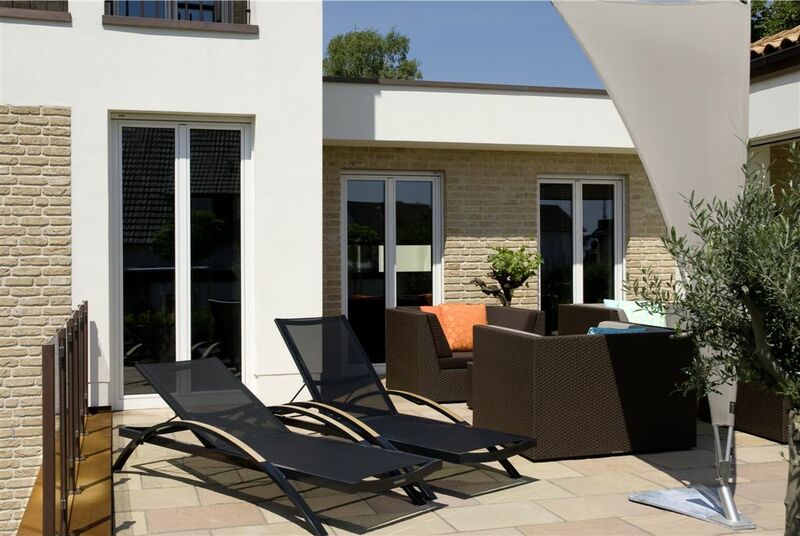 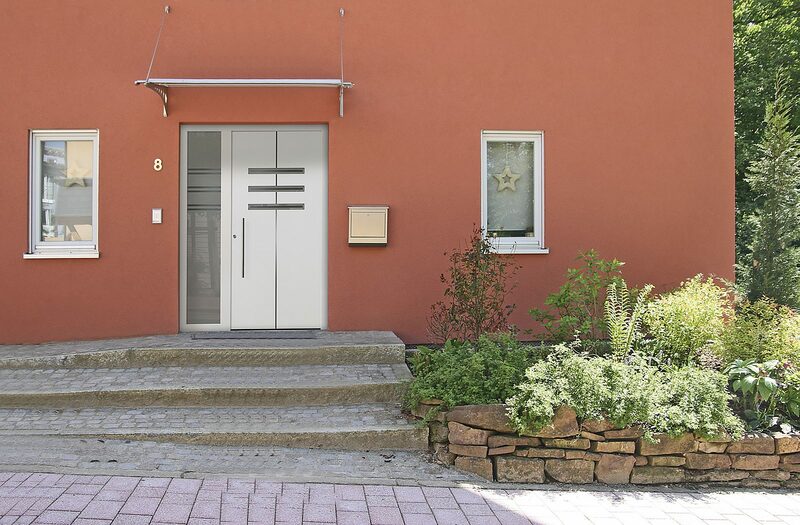 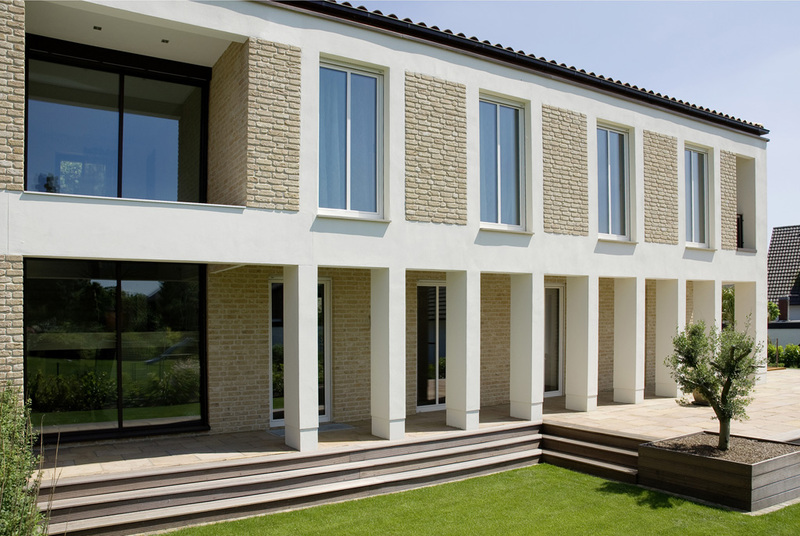 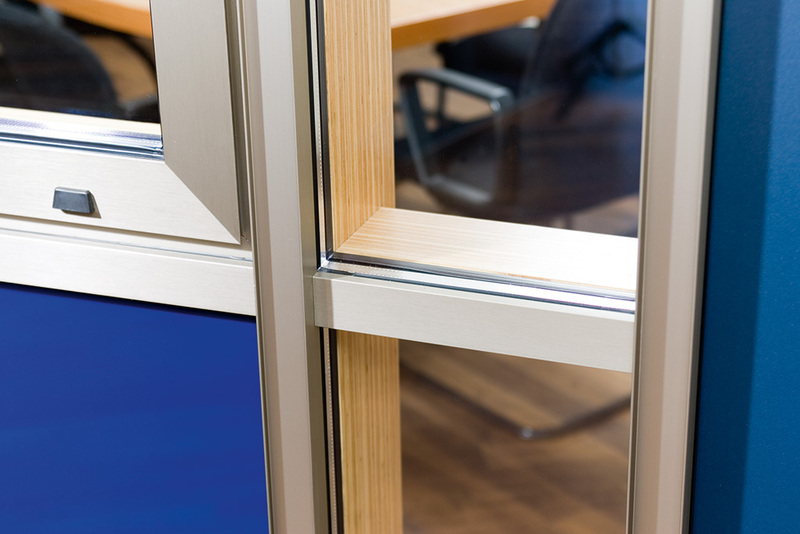 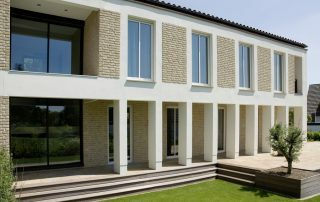 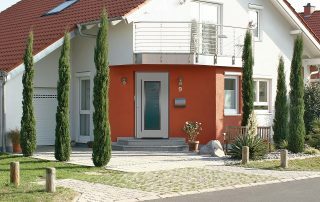 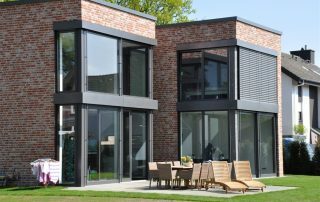 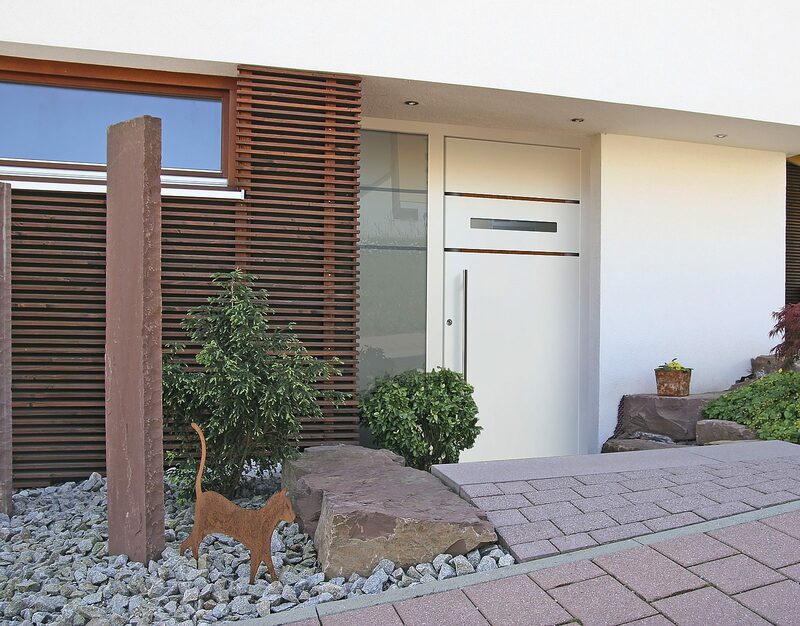 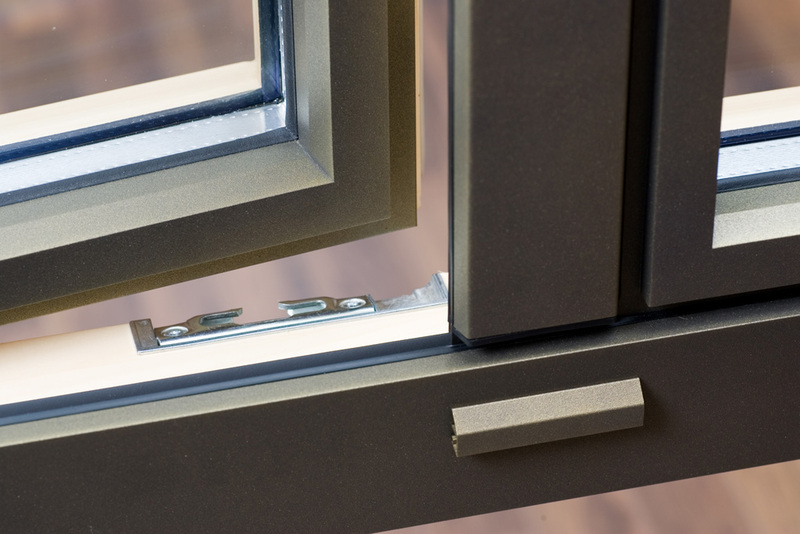 The sKLICK and KLICKpro combined, find its use in applications of window linings for inside and outside. 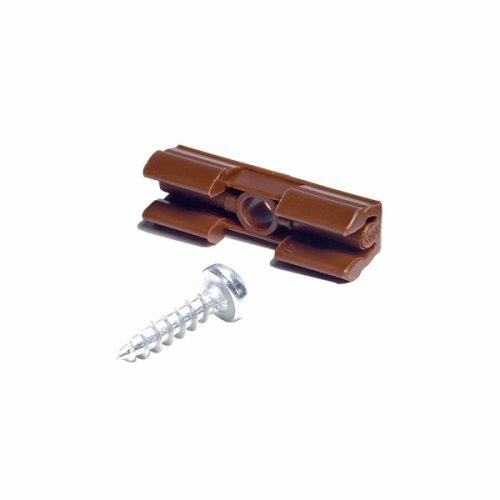 The miniKLICK is a 2-piece fastener for small trims. 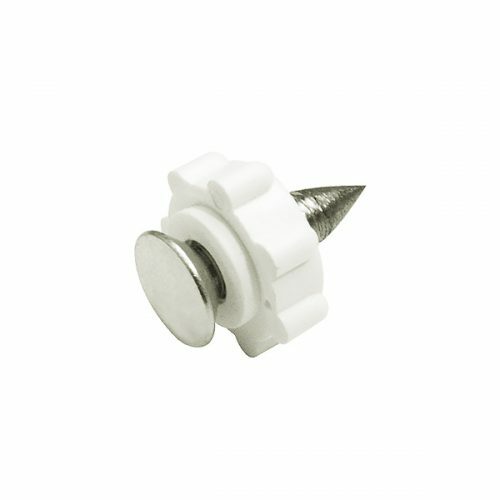 All KLICK-connectors are made of UV and weather resistant plastic. 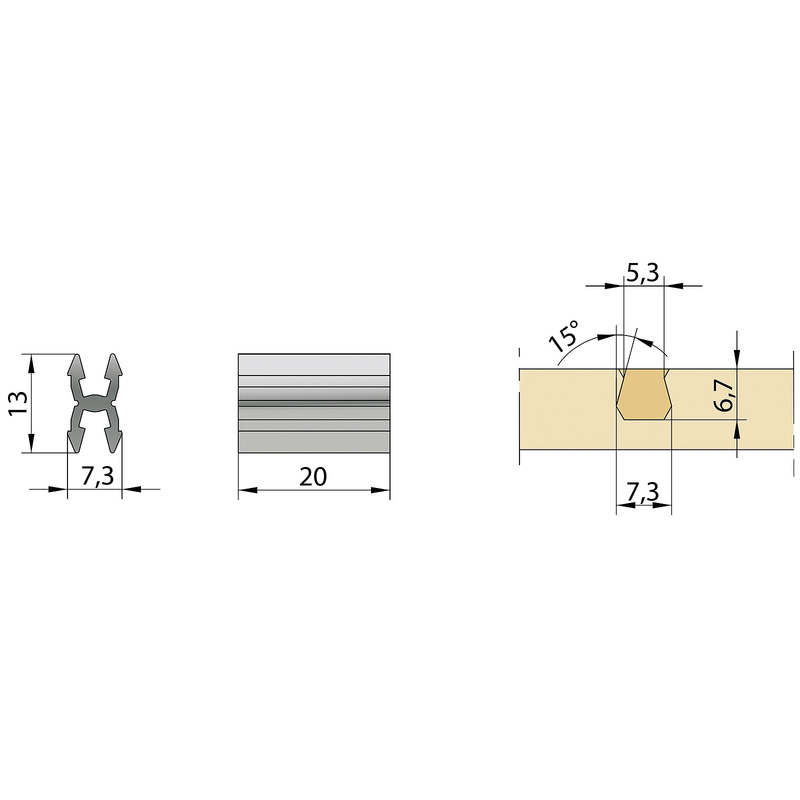 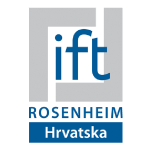 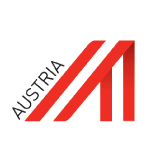 Universal – for components with very small dimensions. 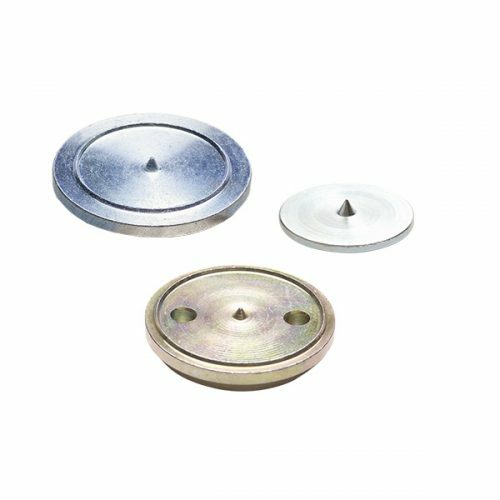 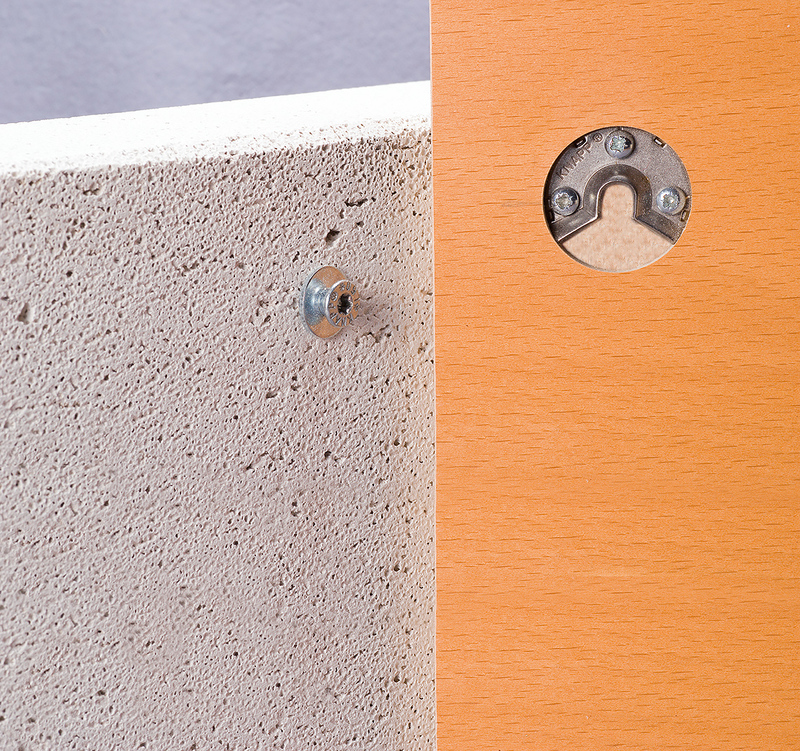 Non-visible – concealed fasteners for many applications, such as panels, co-vers, and trims. 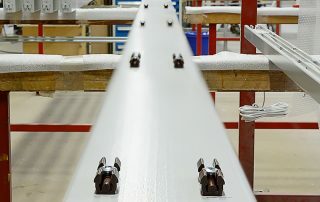 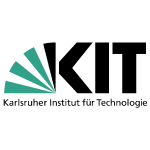 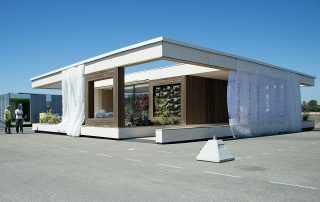 Efficient – high degree of prefabrication. 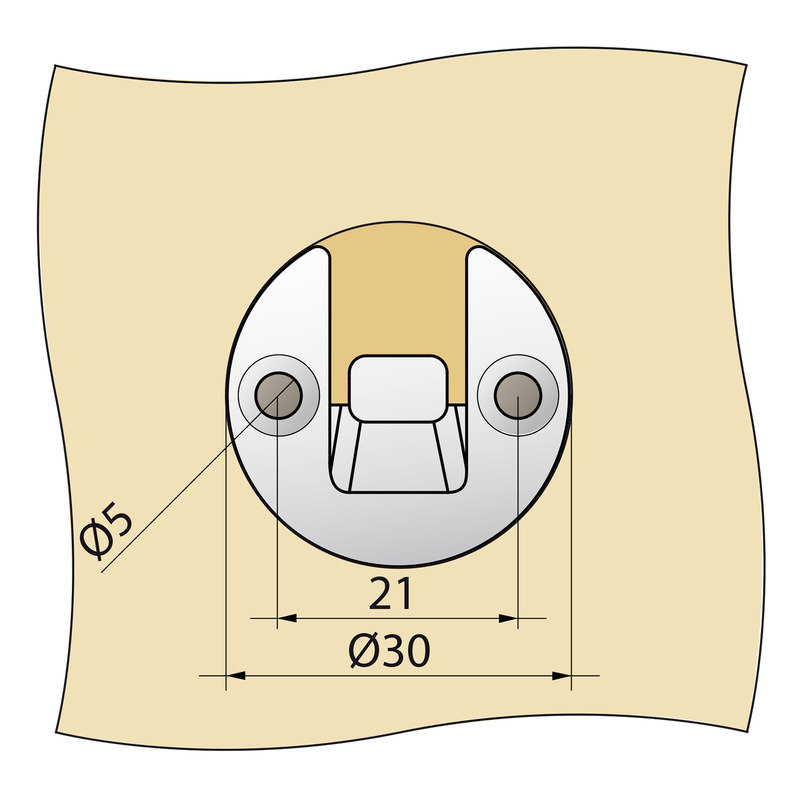 Simple and fast – just snap components in place. 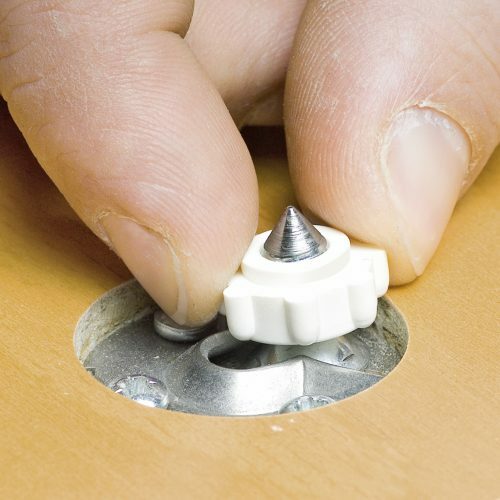 Cost effective – reduces labor, no screwing or nailing necessary, no need for covering nails and screws afterwards. 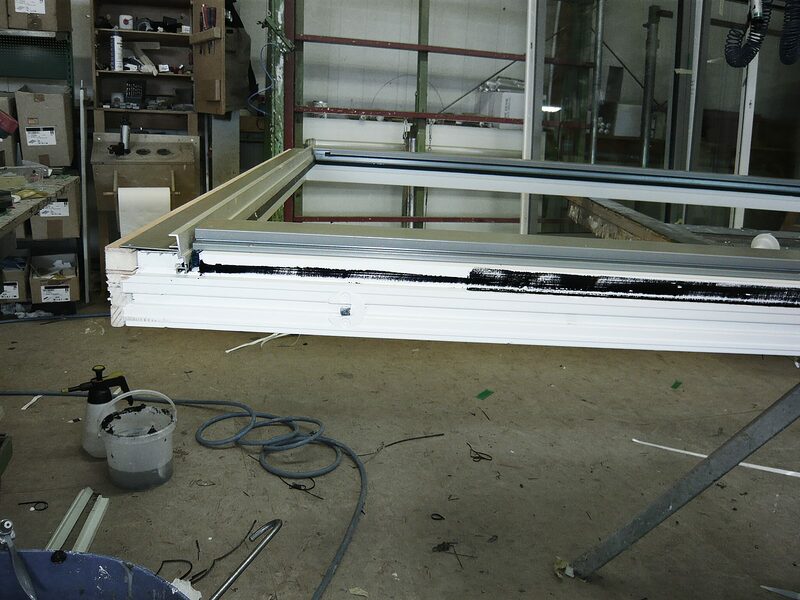 Components can be painted before mounting. 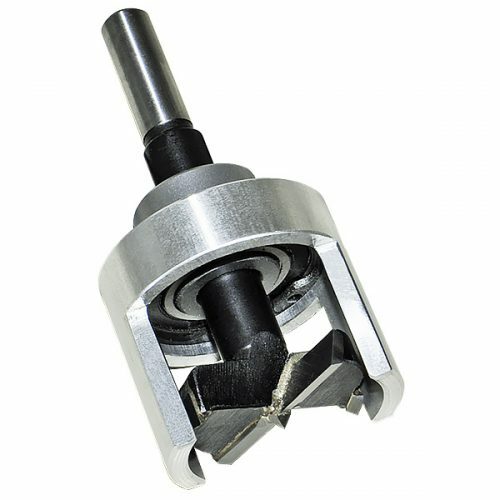 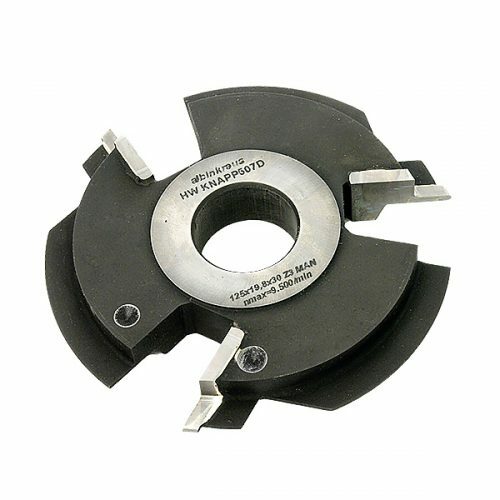 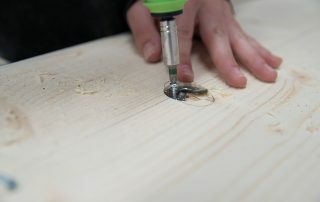 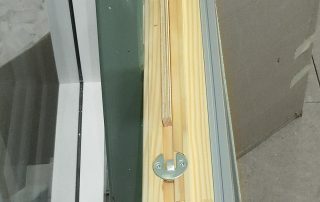 Self-tightening, also used for clamping when components are glued together. 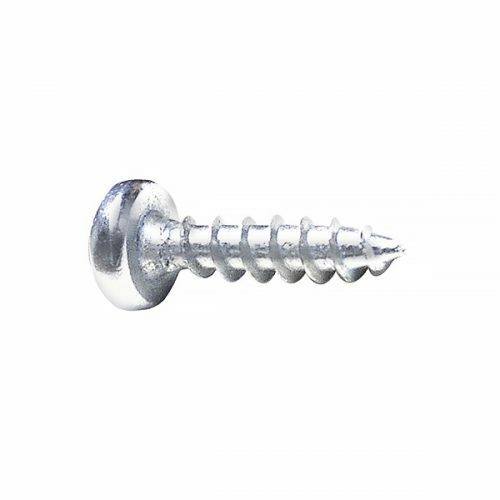 Can be used with standard screws. 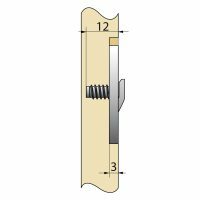 The FIXclip-Profile is the first and only fastening system to enable fastening and sealing in one operation. 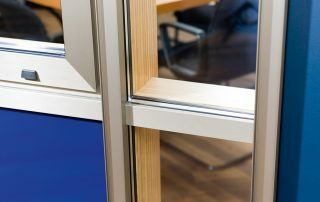 It saves assembly time and convinces with its special profile geometry. 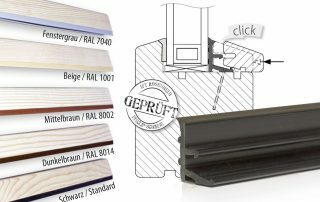 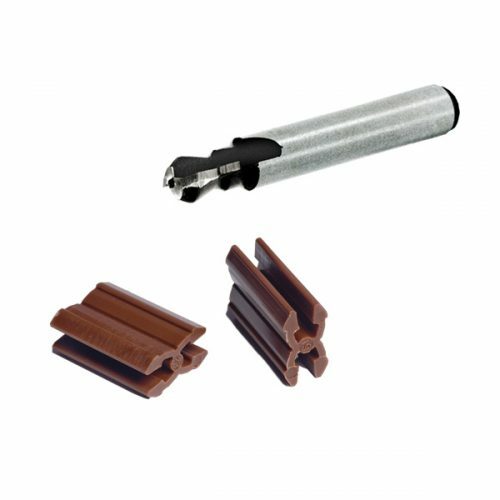 The FIXclip-Profile is made of UV and weather resistant plastic and is available in the three versions, GLE 18, GLE 20 or GLE 20 with a separate wedge seal. 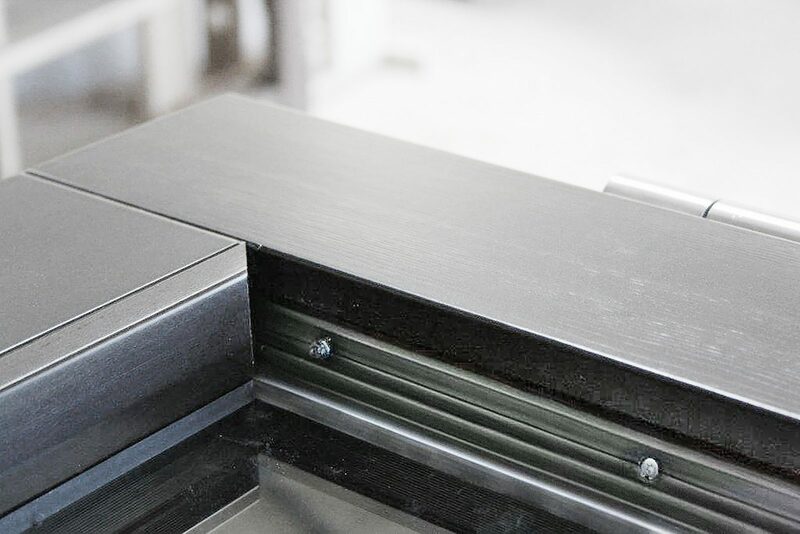 Fastening and sealing in one operation. Cost effective – reducing labor. 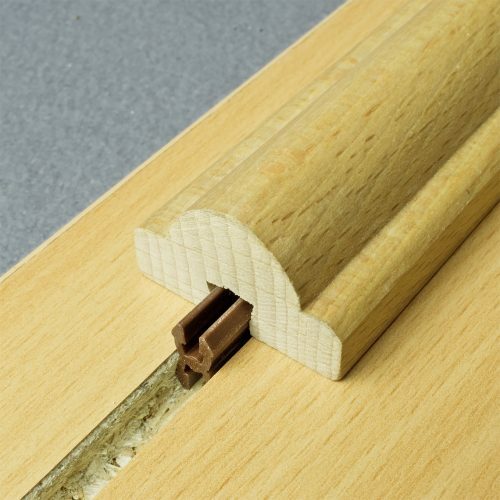 Simple snapping on of the glazing bead. 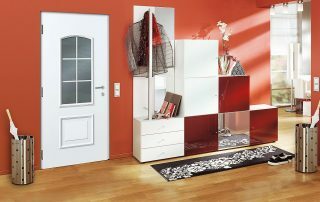 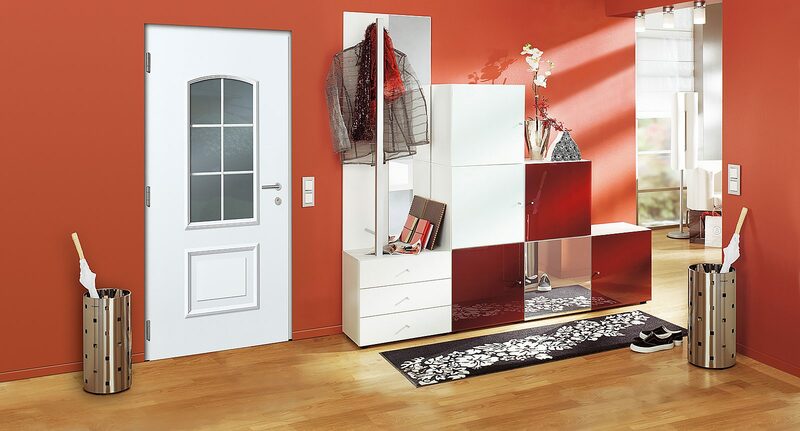 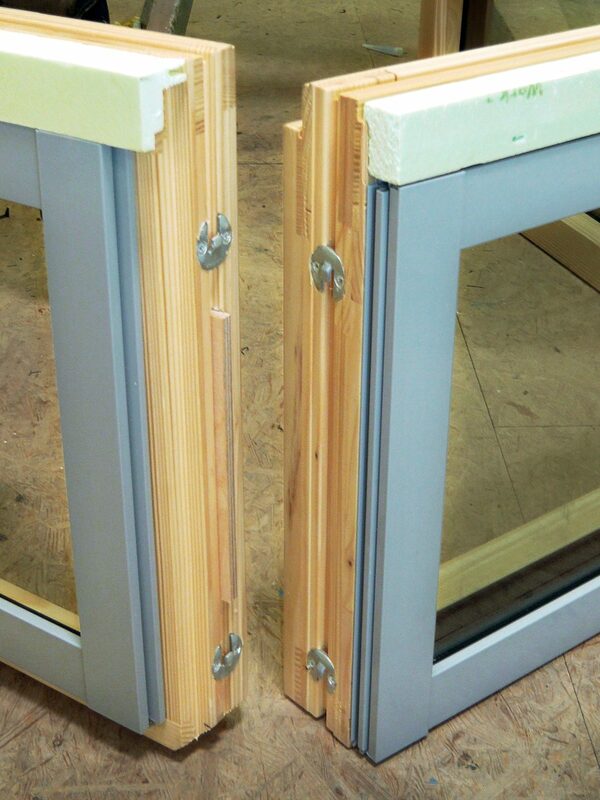 Safe – eliminates damage of glass pane that otherwise occurs due to misplacement of shooting nails. 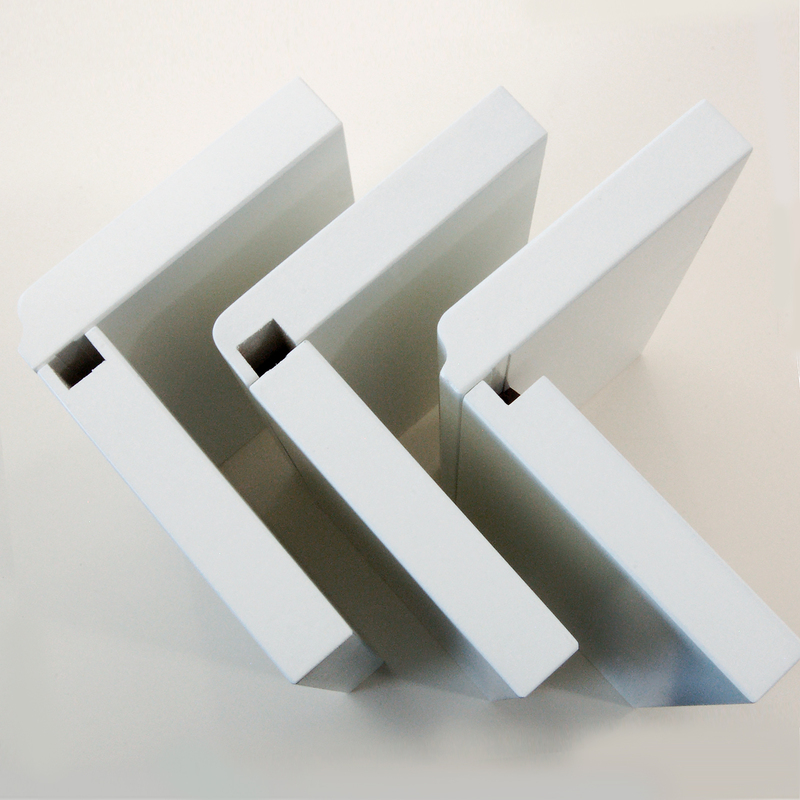 Flexible – mounting can be done at manufacturing and/or on site. 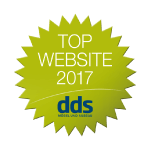 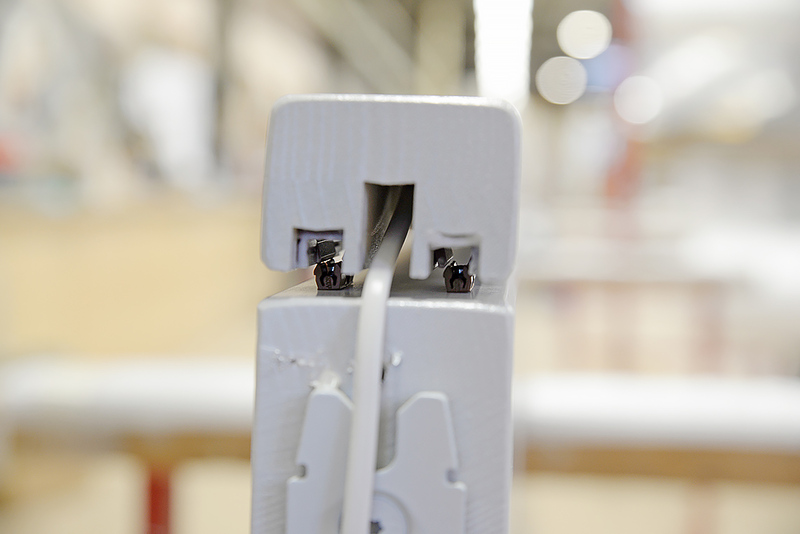 Tested – meets all the requirements. 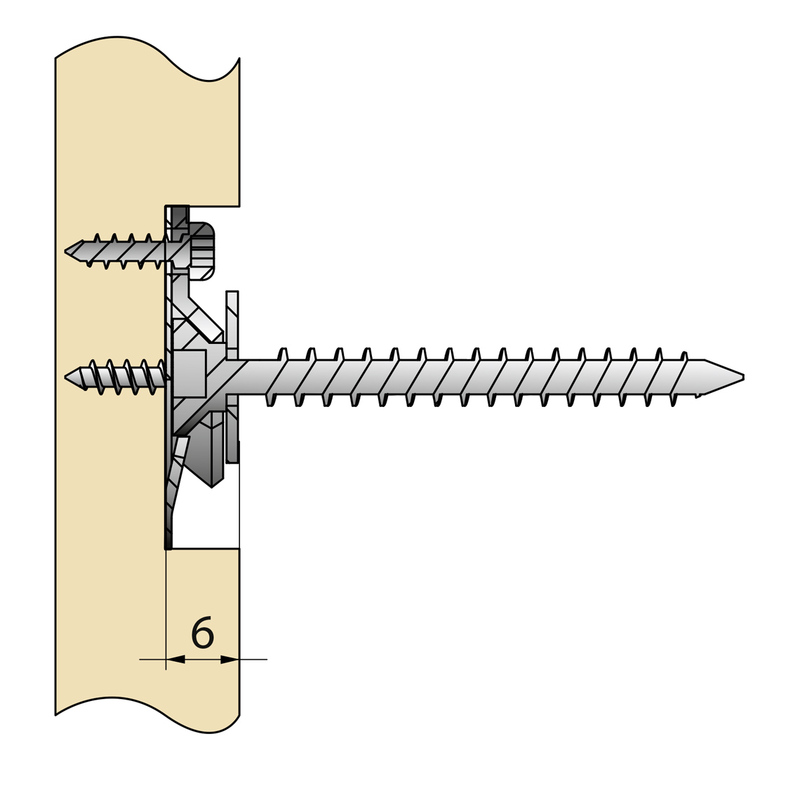 Fast mounting of the profile with screws or nails. 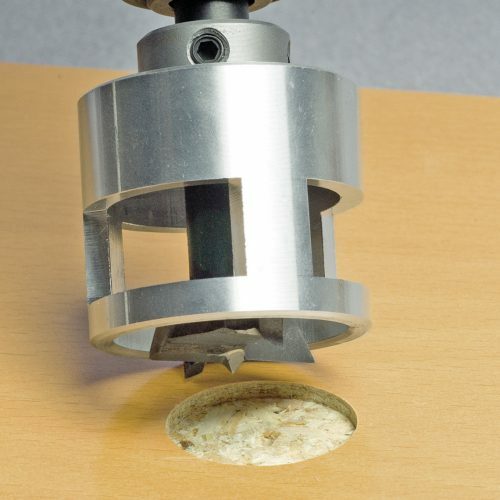 GLE20 Plus – easy to remove / disassembly possible if needed. 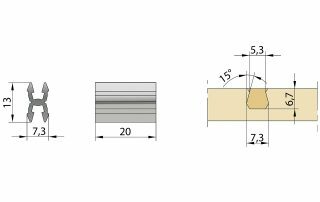 GLE20 Plus – suitable for both wedge sealing and wet sealing. 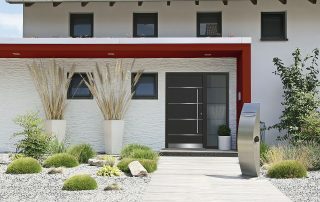 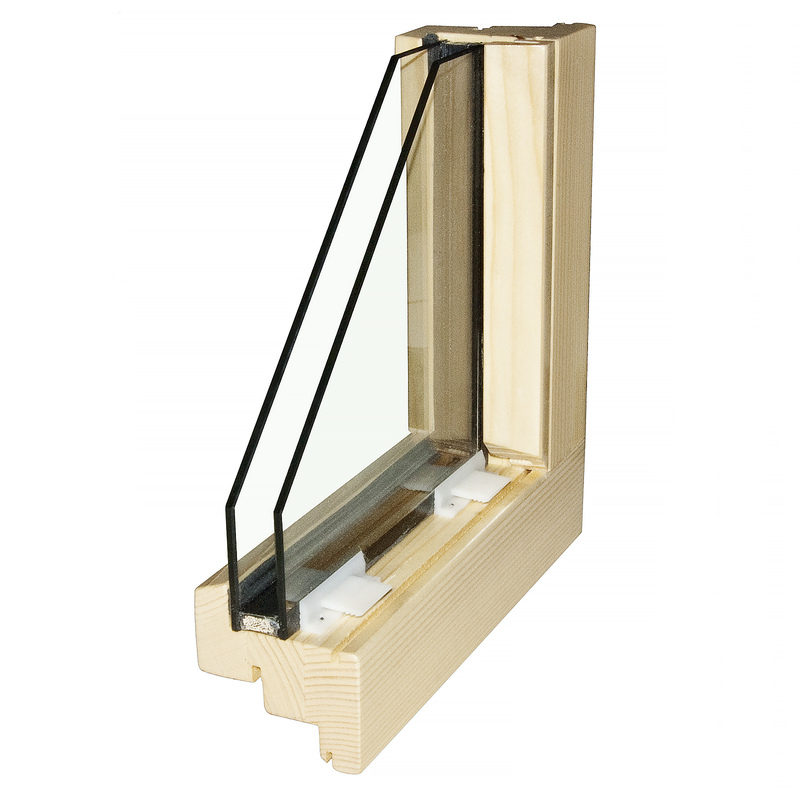 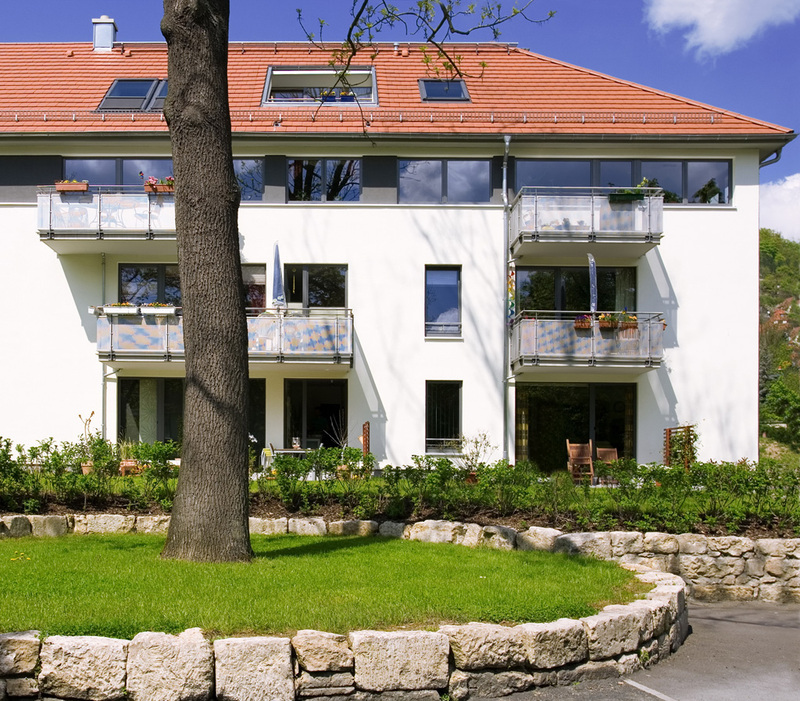 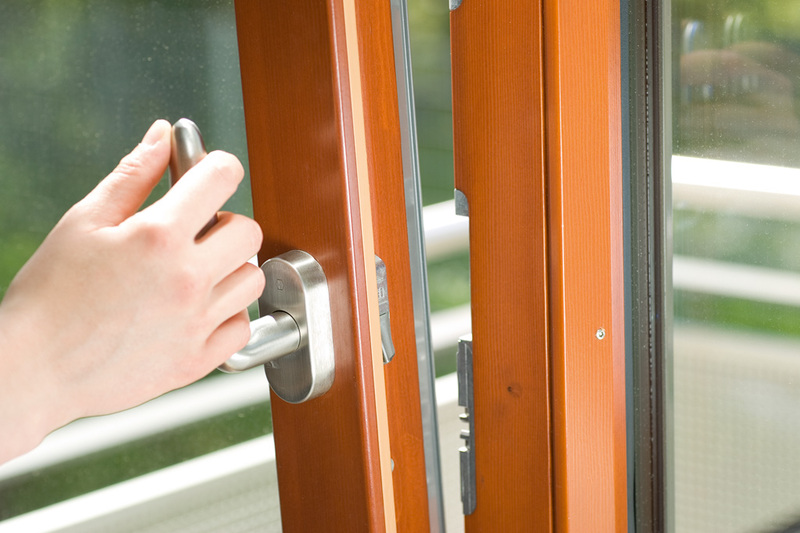 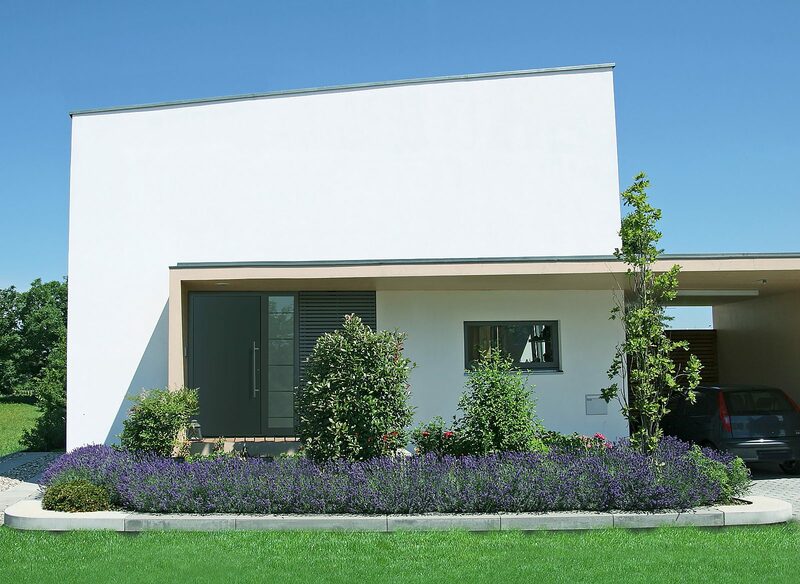 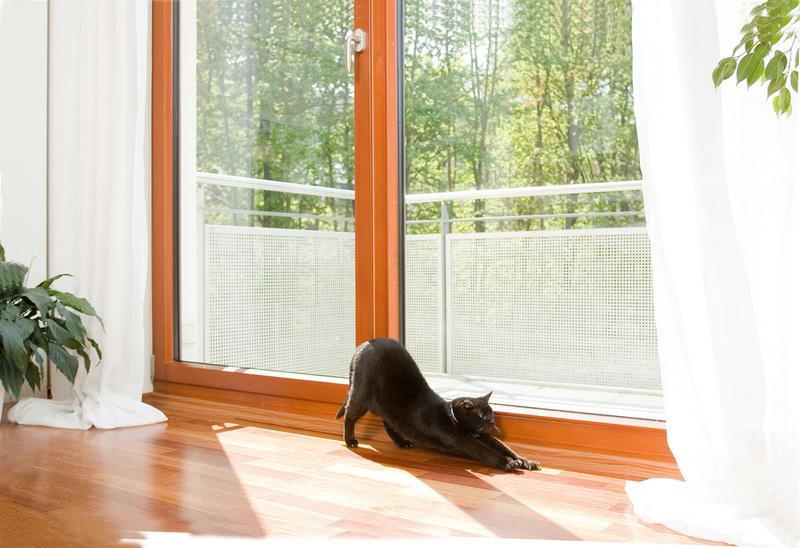 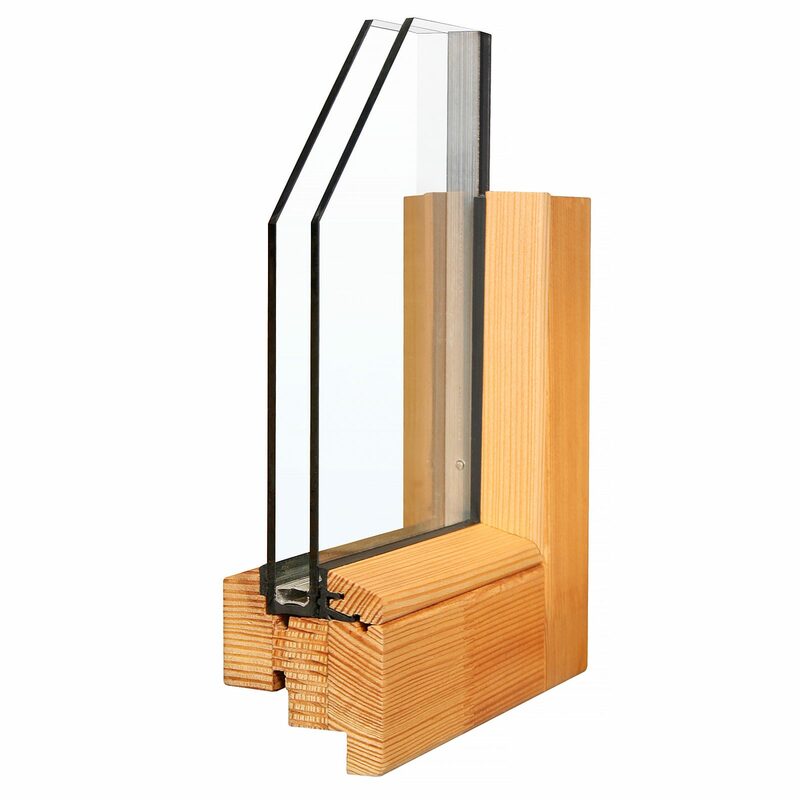 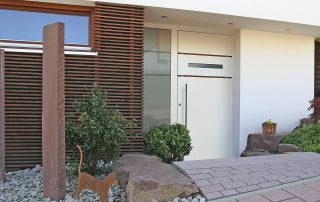 For wood windows and wood-aluminum windows, as well as fixed glazing of windows and doors. 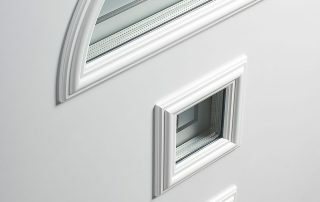 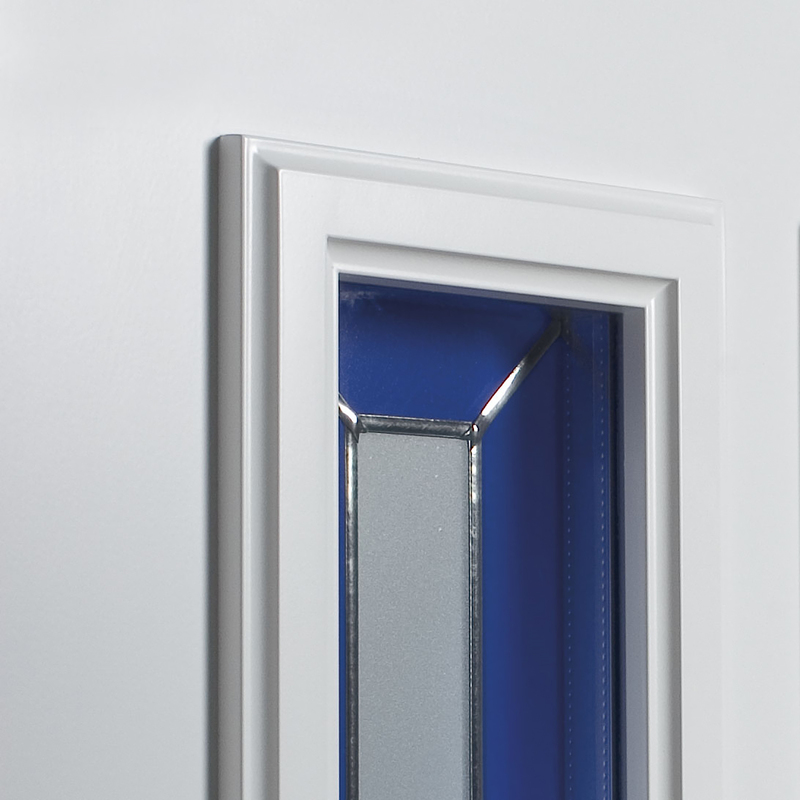 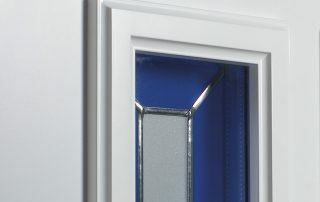 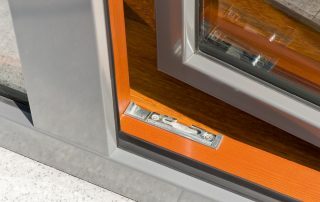 The FIXClip is a glass pane and glazing bead connector made of plastic that is completely concealed when installed. 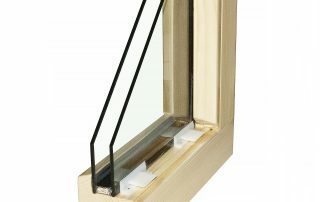 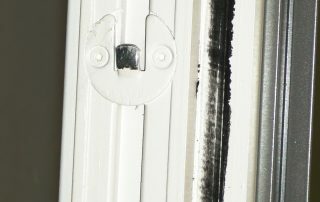 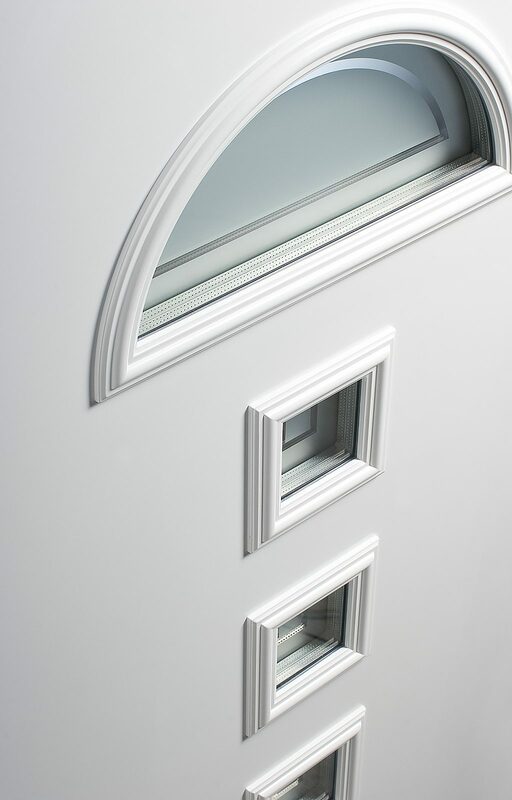 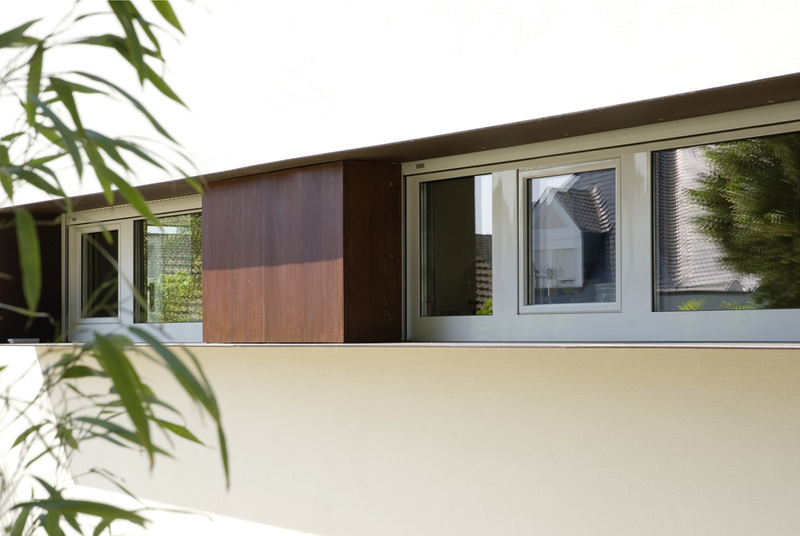 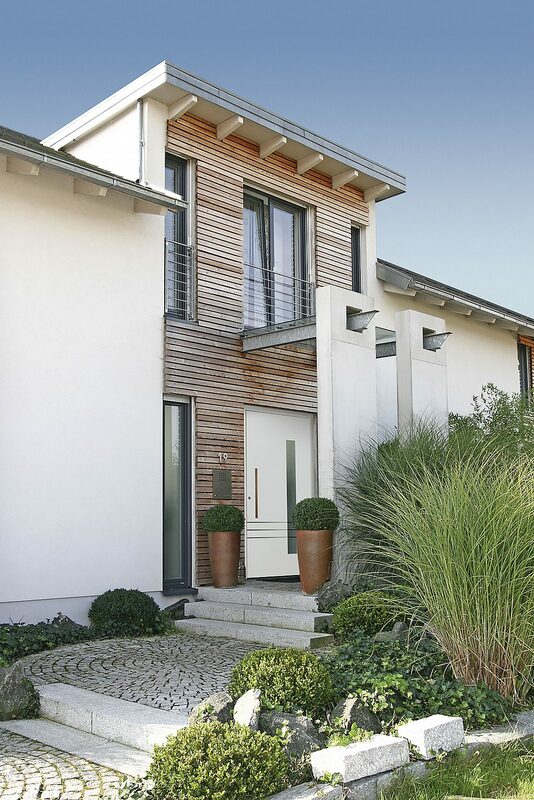 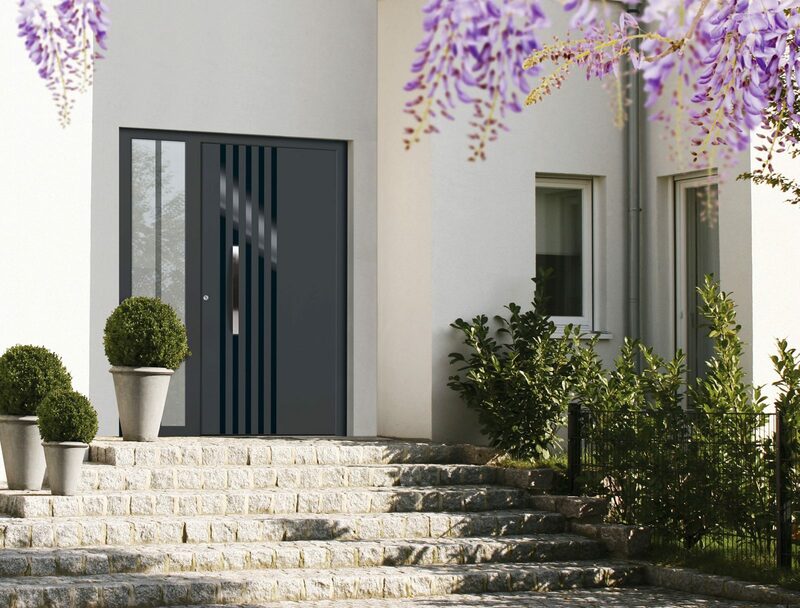 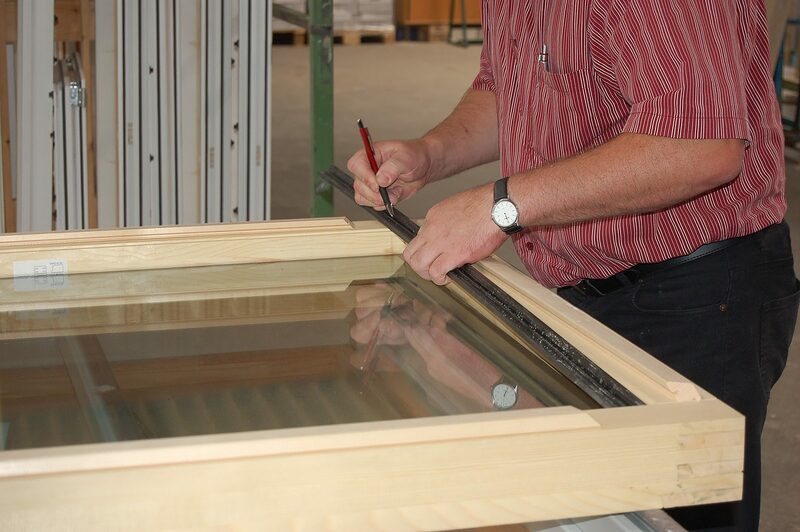 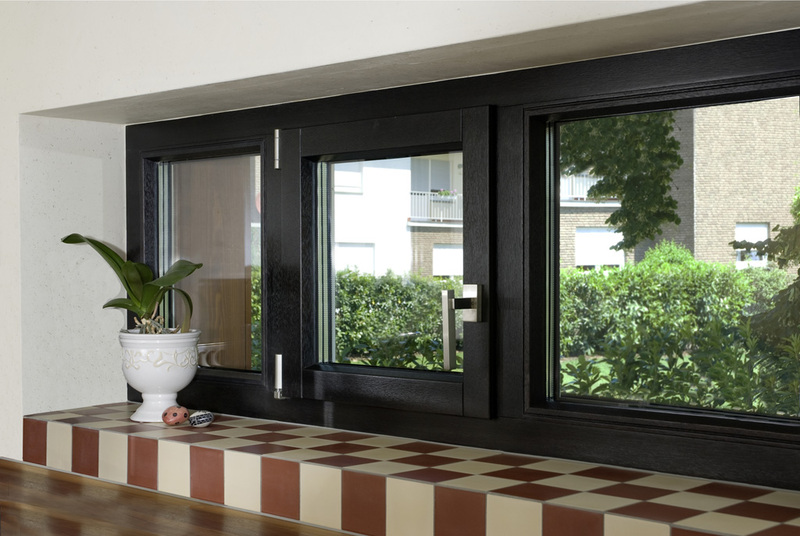 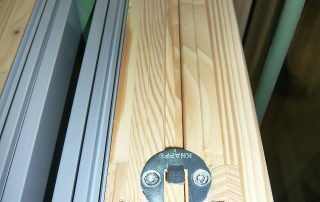 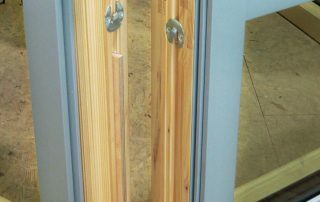 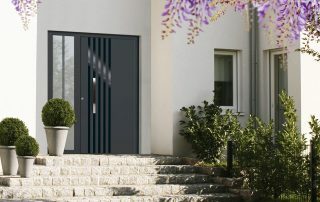 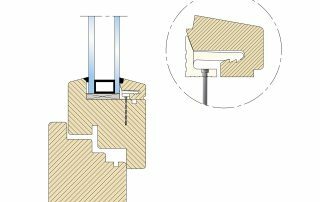 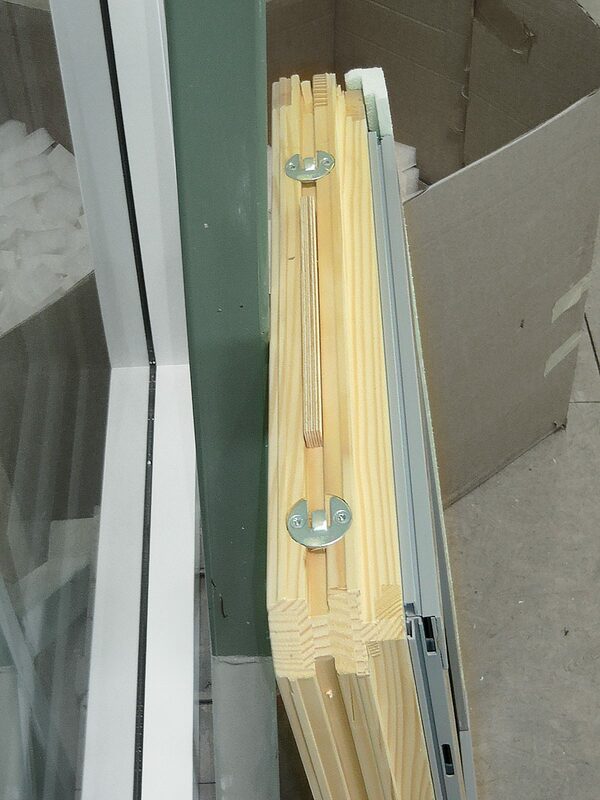 With the FIXclip, glass panes and moldings/trims are fixed in windows and doors without damaging the components like it would happen with conventional nailing or screwing. 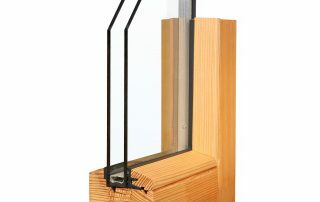 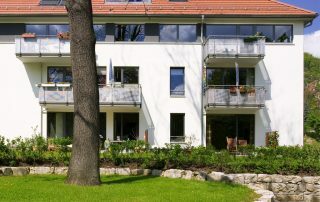 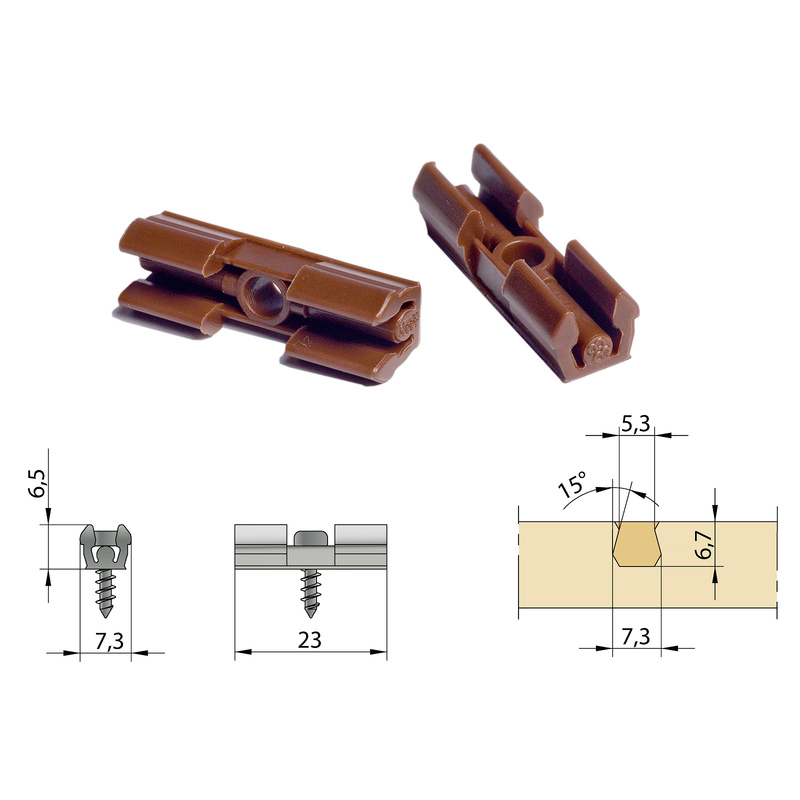 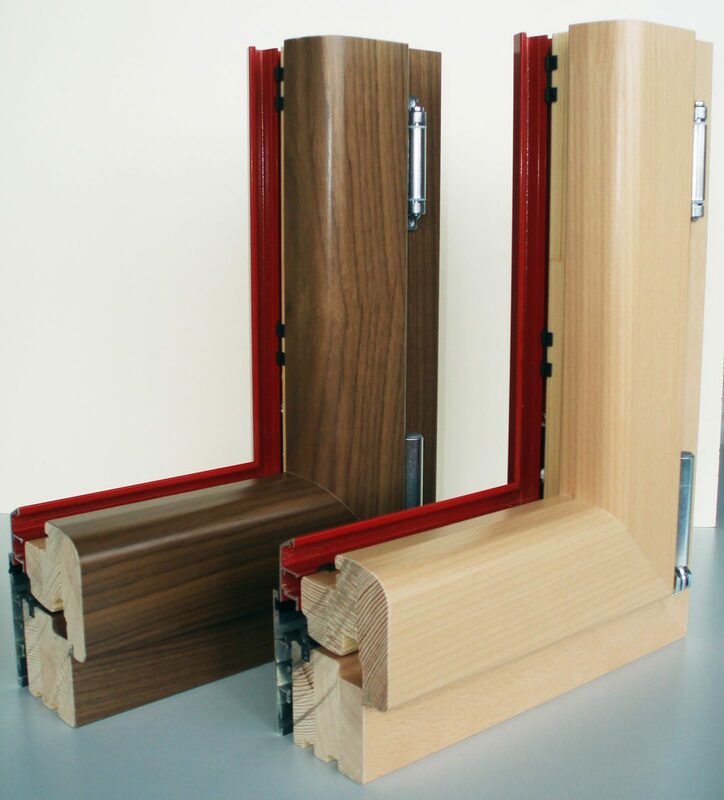 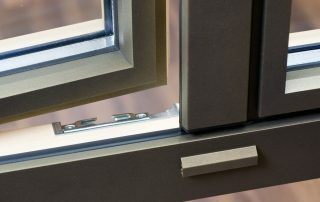 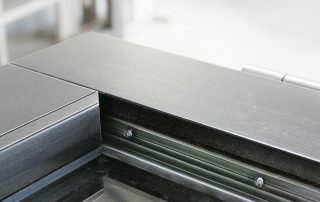 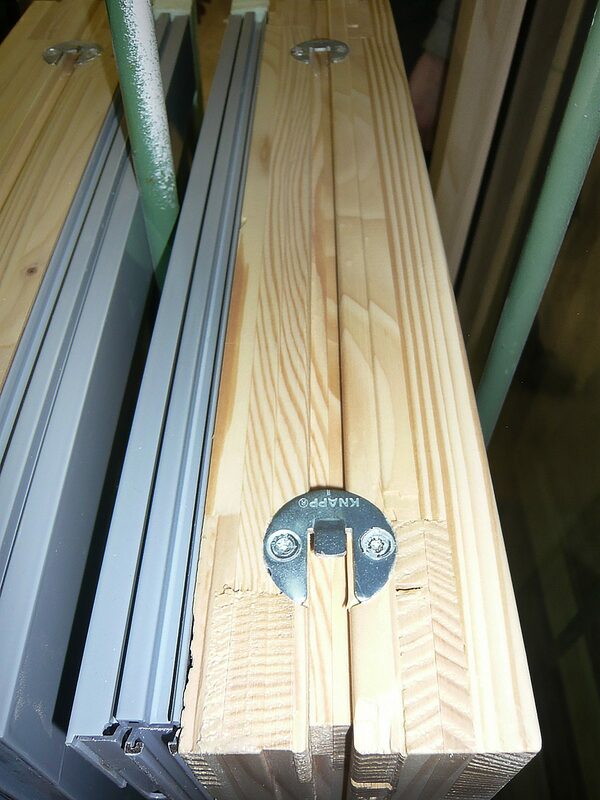 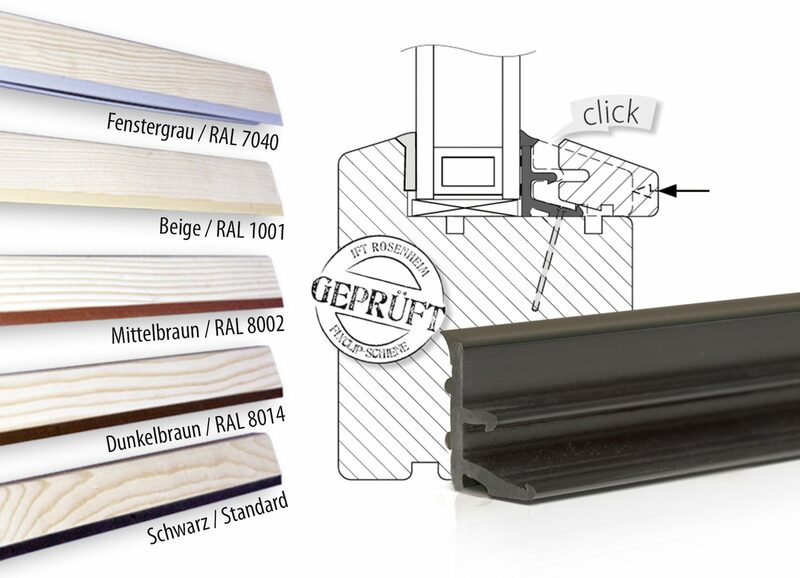 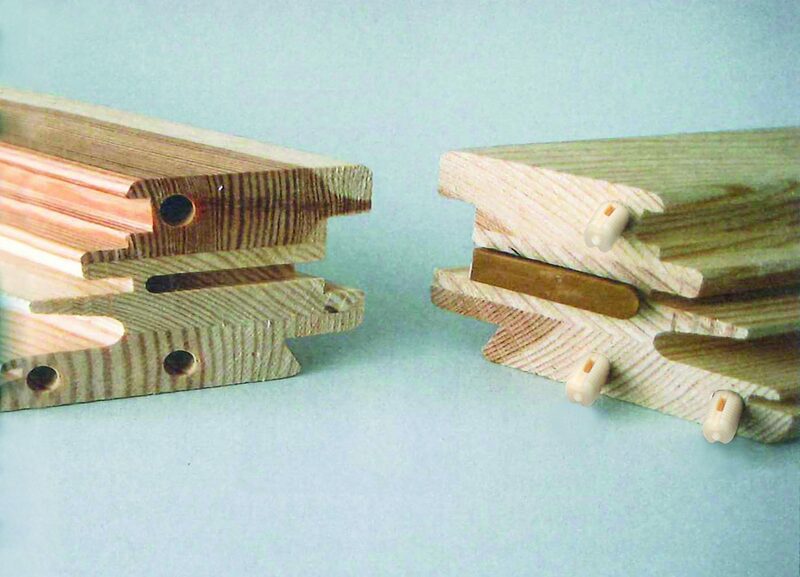 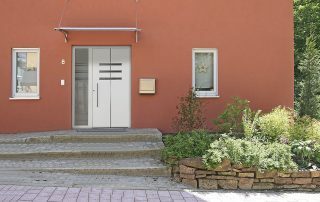 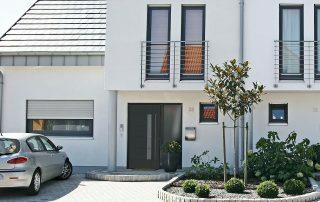 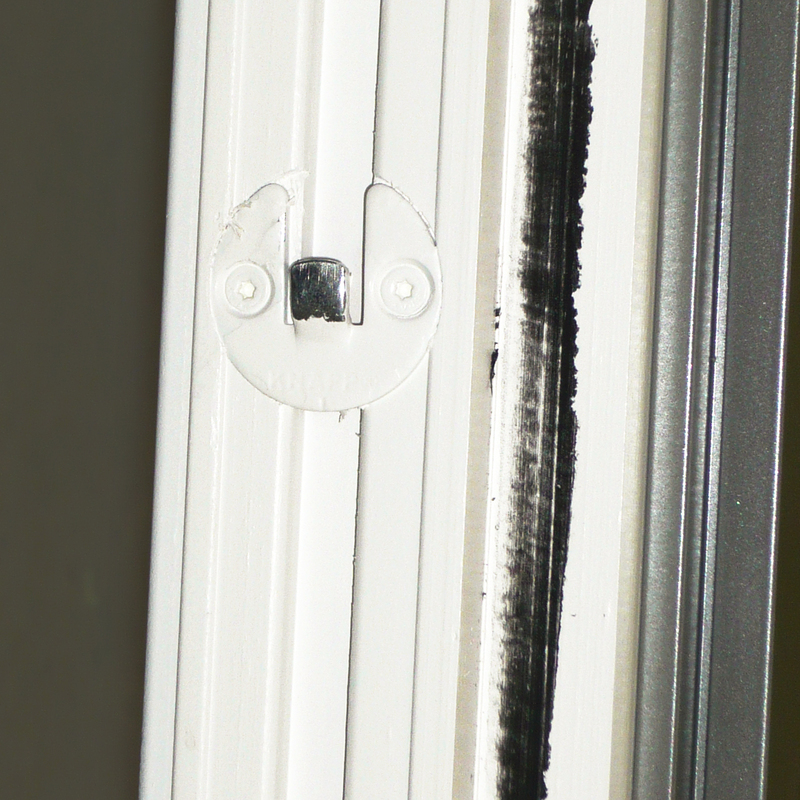 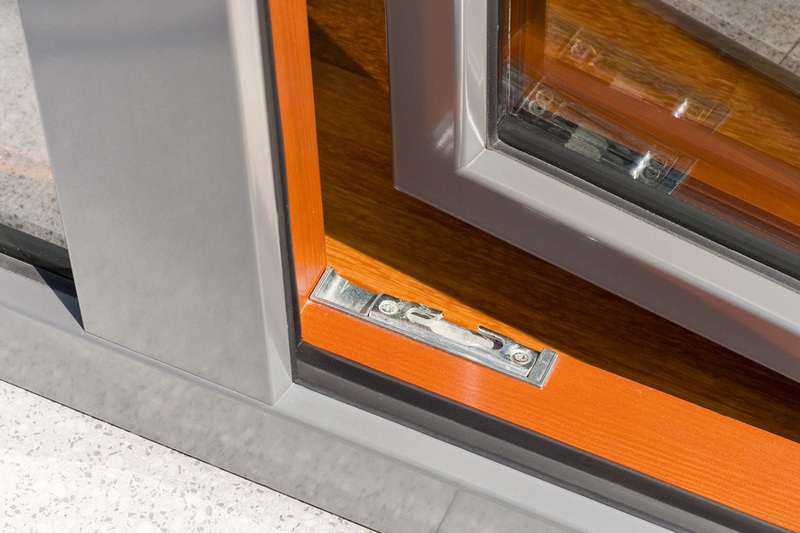 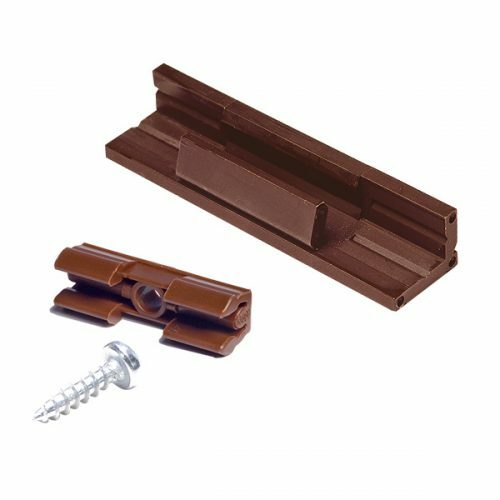 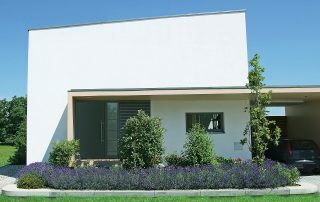 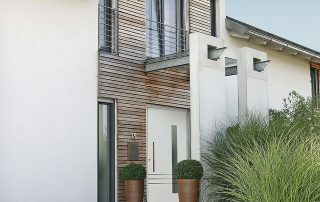 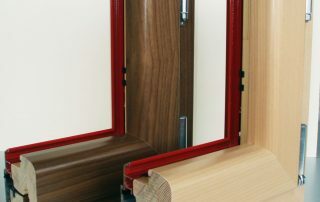 The FIXclip connector is used for wood windows and wood-aluminum windows, as well as fixed glazing. 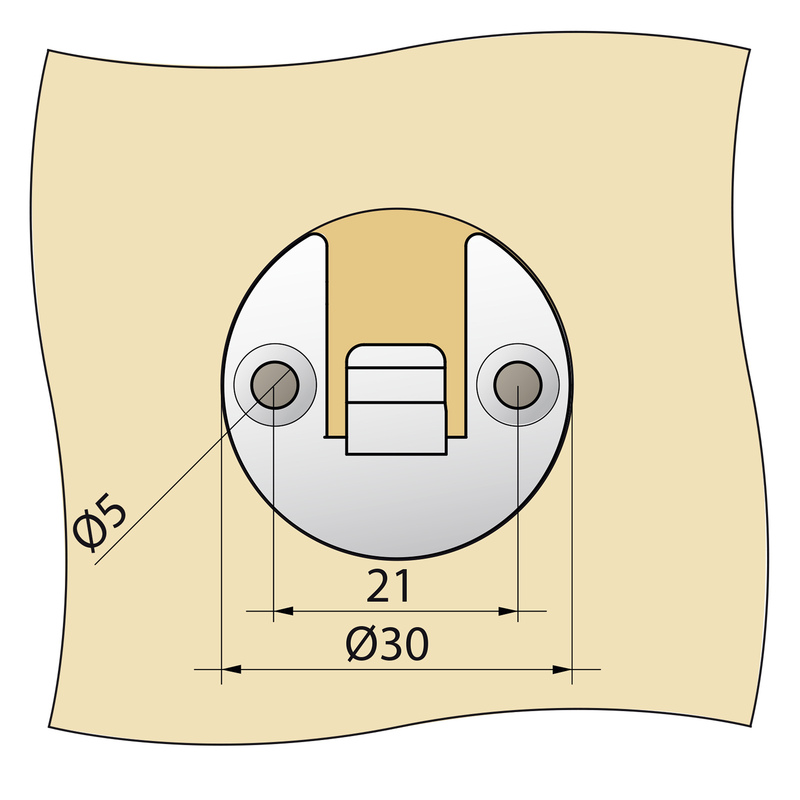 The connector is available in two sizes, H16 and H20 (H12 per request). 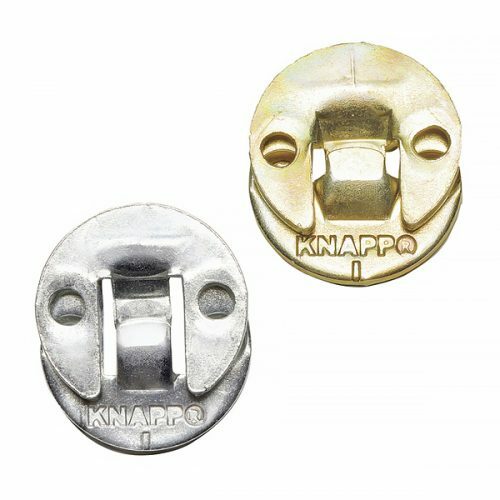 Perfect look – No visible fasteners. 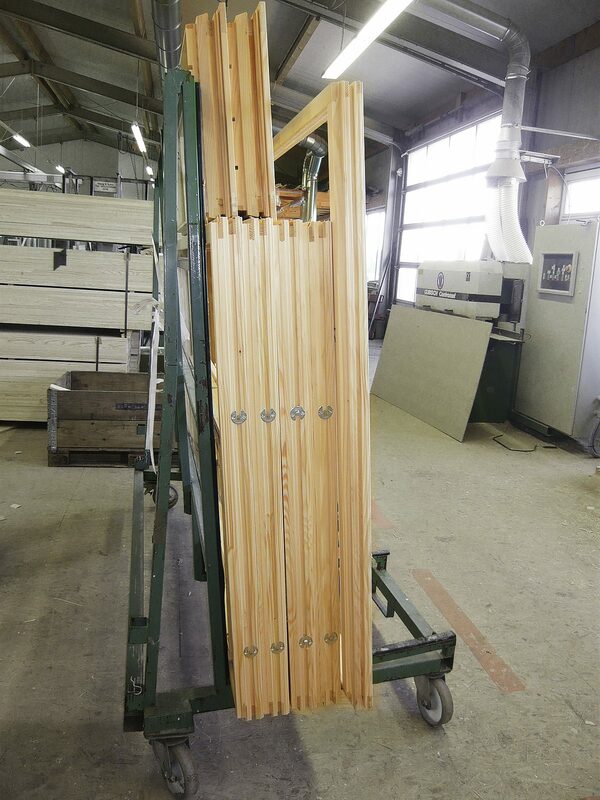 Fast – Reduces labor and effective production process guaranteed. 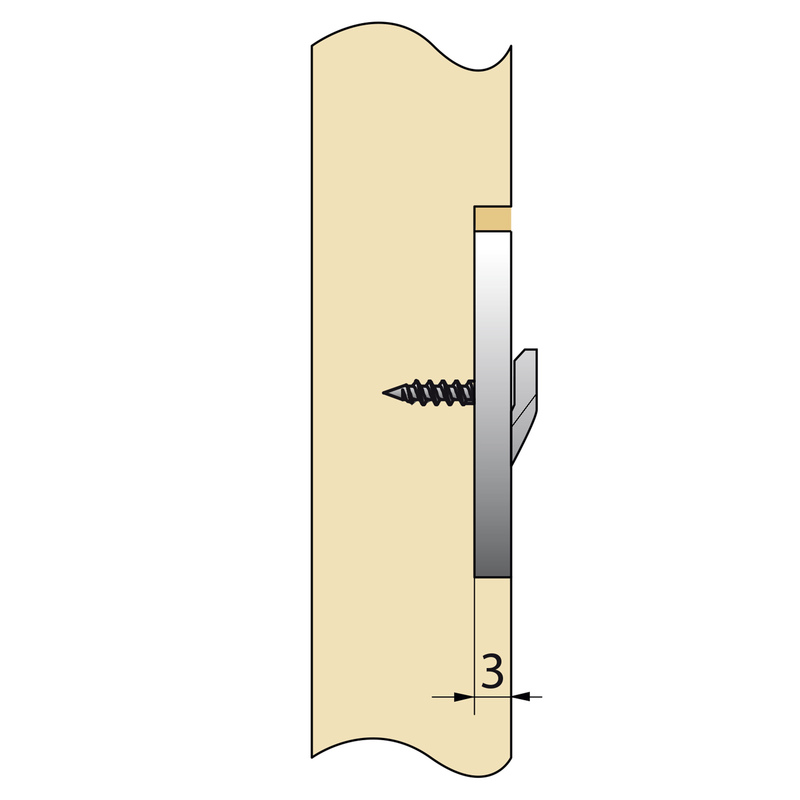 Fastening – by nailing or screwing of the connector. 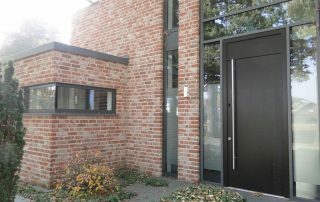 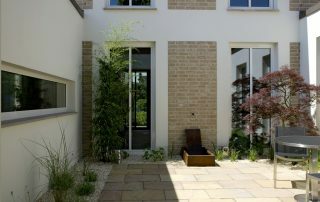 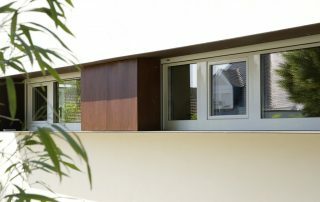 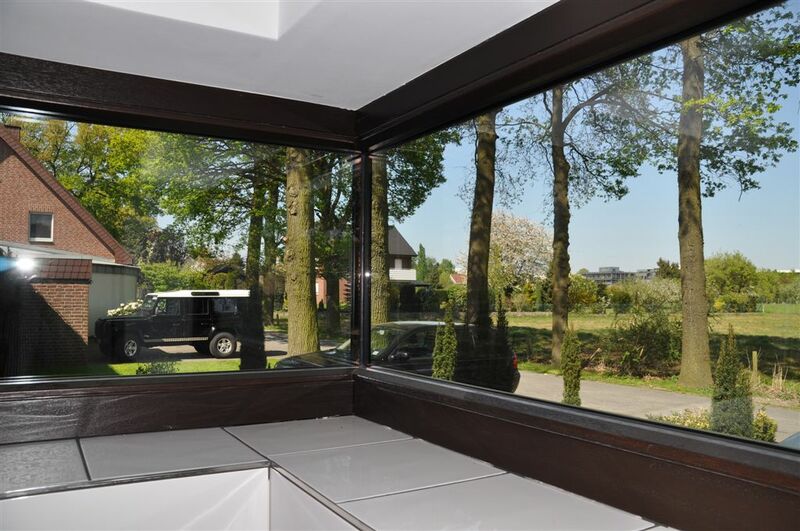 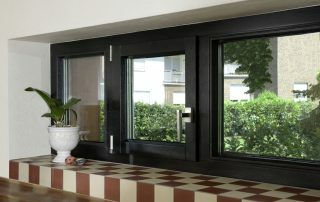 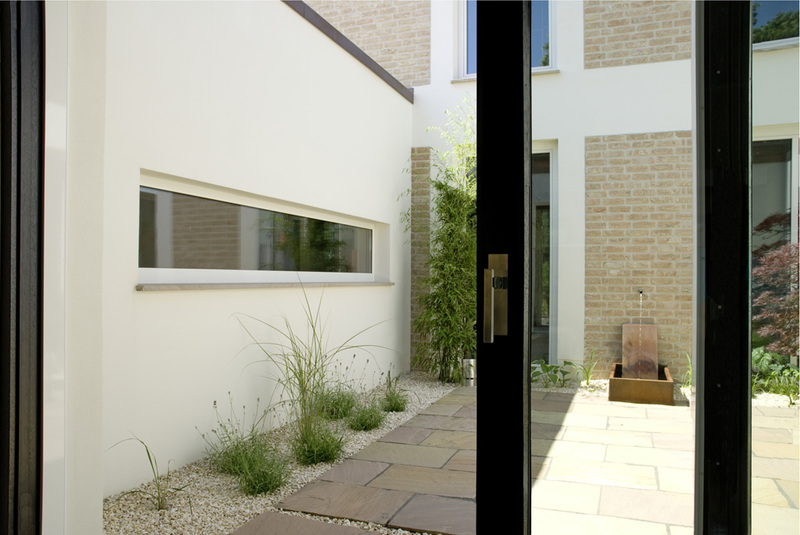 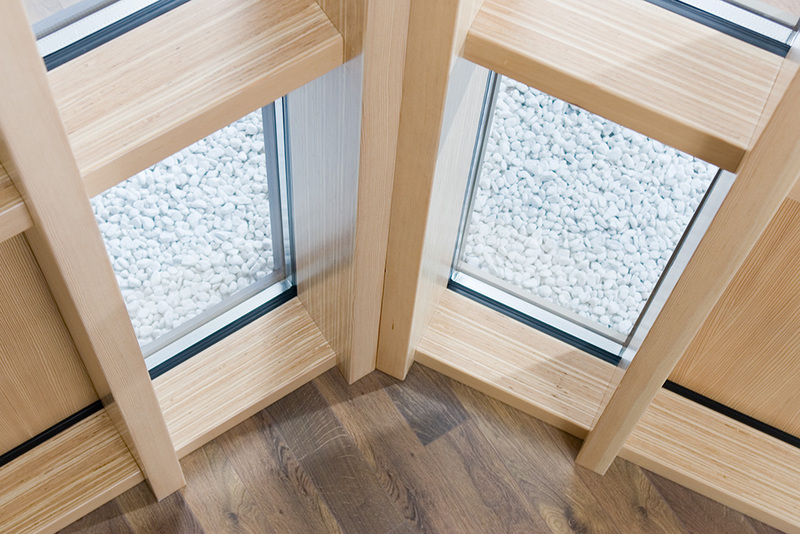 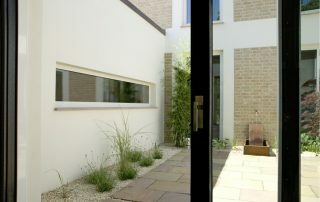 Non-visible – Concealed mounting of glass pane and glazing bead. 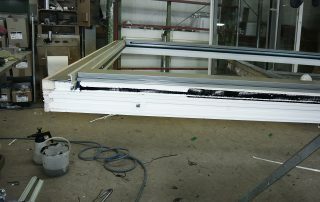 Can be disassembled without damaging the pane. 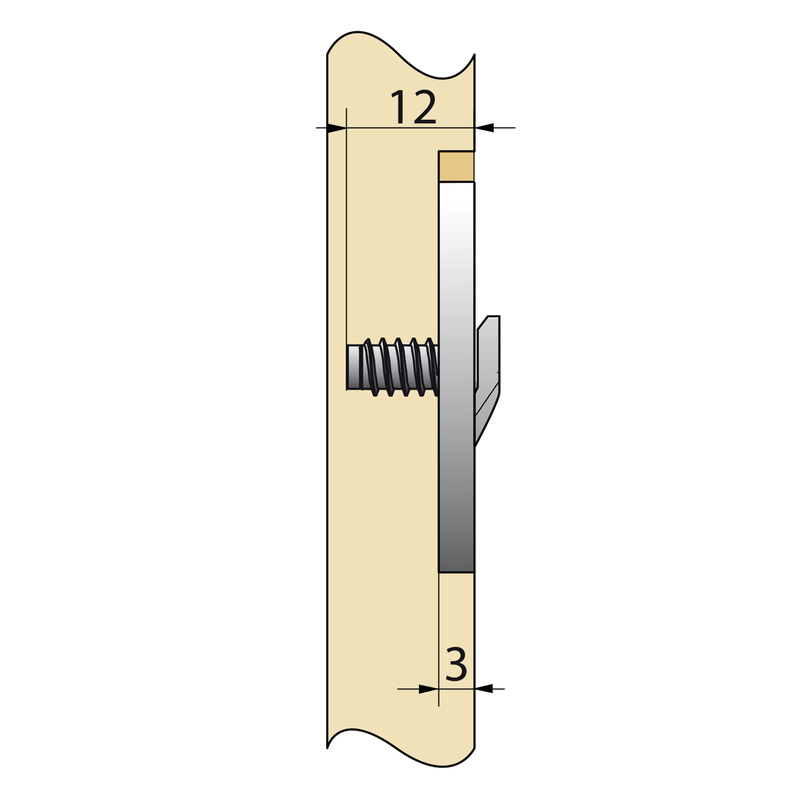 Tested – for wind load C5 (EN 12210) and shock resistance class 3 (EN 13049). 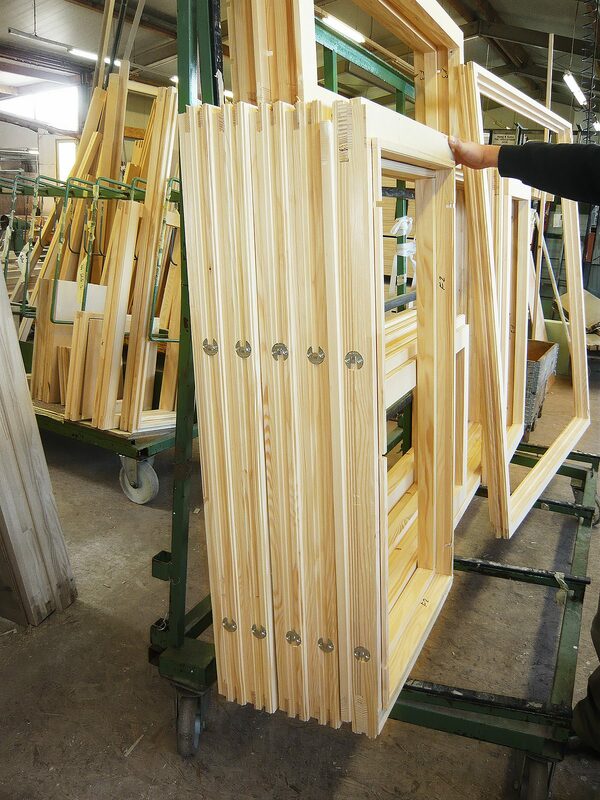 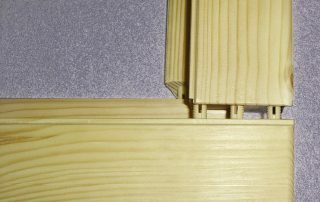 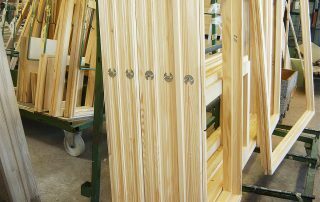 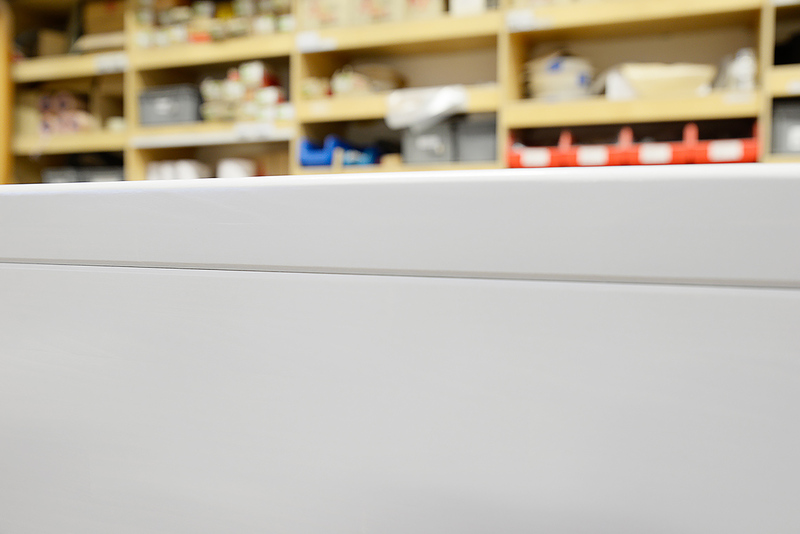 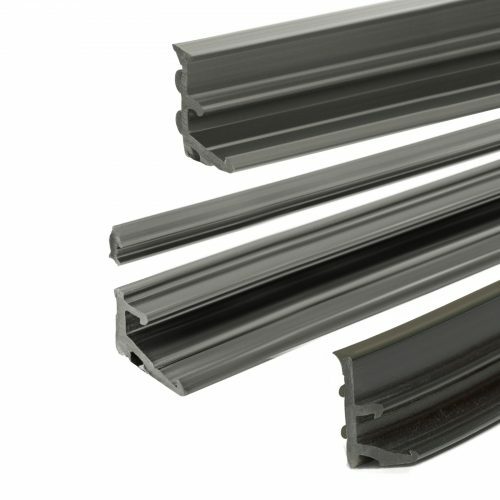 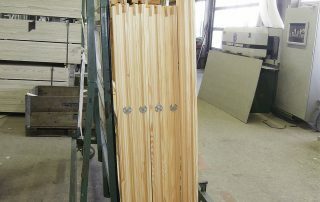 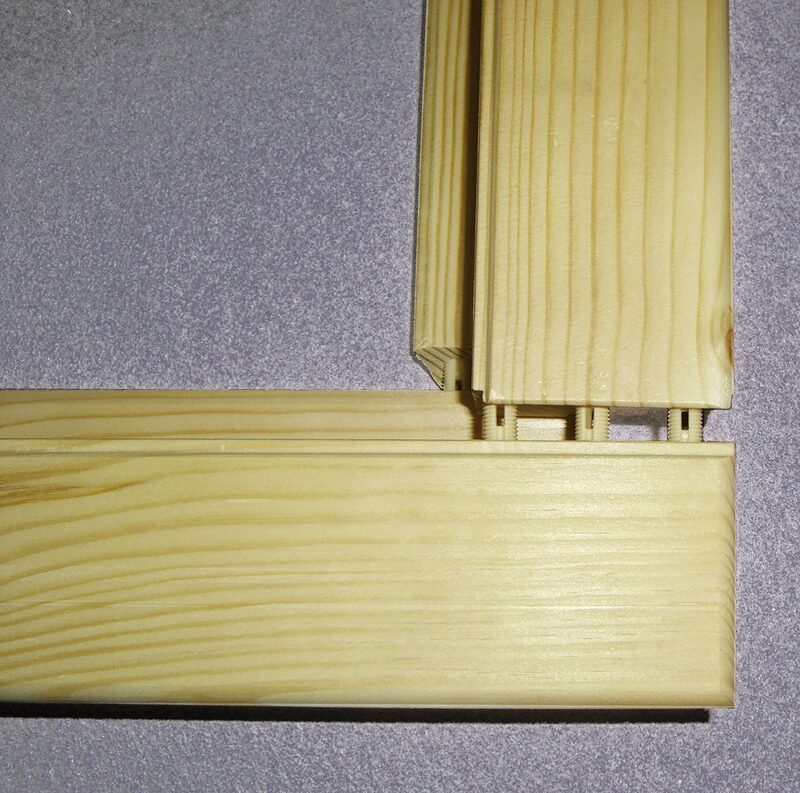 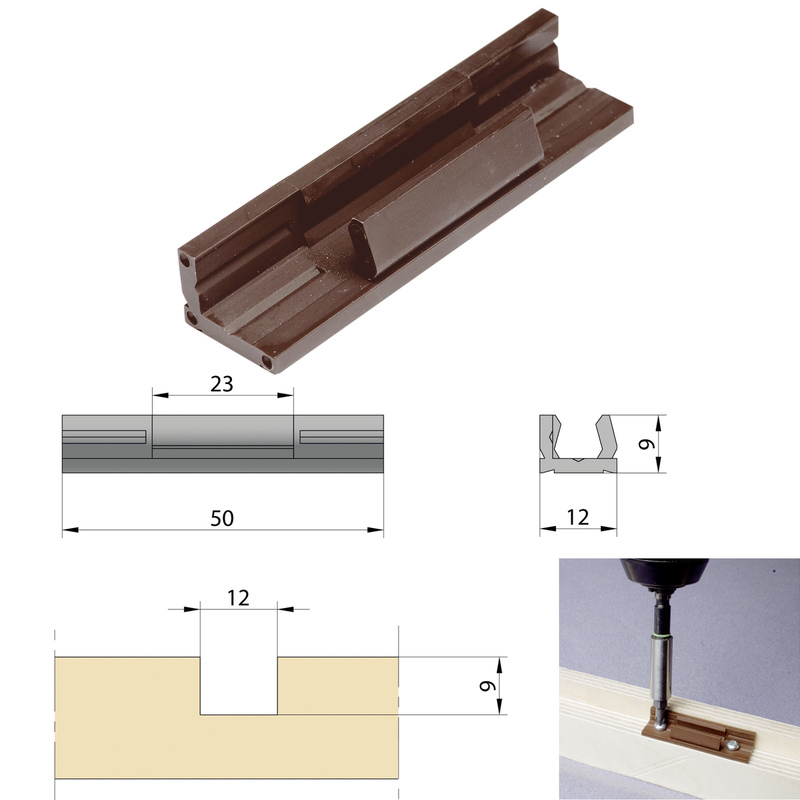 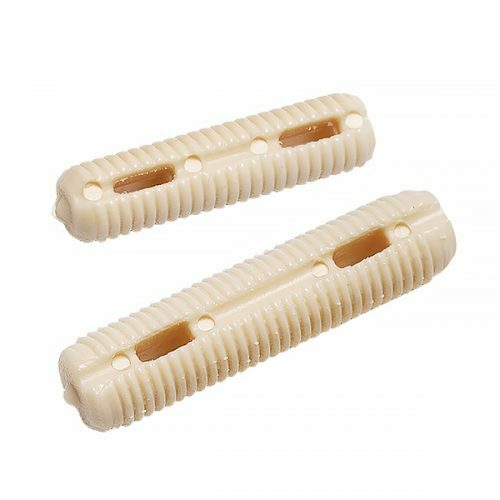 For glazing beads, moldings made of timber and/or plastic.